The use and understanding of drones within the real estate industry is in line with the wider views of businesses across a variety of sectors, according to Charles Russell Speechlys’ research. In total, 34% of senior decision makers across businesses in Great Britain said drones are either already in use in their industry, or will be in the future, and, on average, 55% said that they lack knowledge around some of the rules and regulations surrounding the technology. In response to the findings, Charles Russell Speechlys is calling for greater clarity and education surrounding drone law, to help businesses realise the benefits of the technology, without exposing themselves to risk. The firm has also launched a new report to help businesses understand the legal issues they should be aware of when using drones. “Drone technology looks set to take off in the real estate sector, and it appears that it can offer real and profound benefits to the industry. “However, businesses keen to capitalise on the advantages that drone technology offers must also educate themselves on its responsible use. 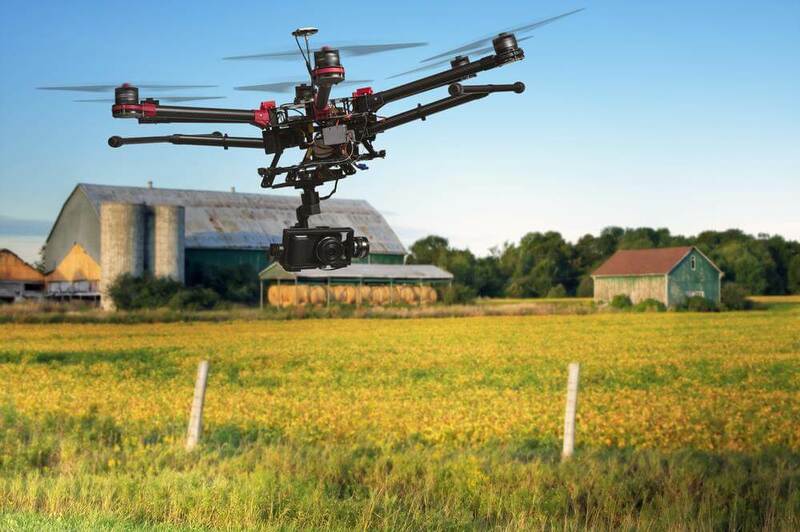 It is therefore concerning that almost half of real estate businesses surveyed for this report felt they were not knowledgeable about the current rules on drone use. The projects are the refurbished Clooney Community Centre and two play parks, one at Irish Street and the other at Rose Court. The play parks boast modern, child-friendly and safe play facilities. They include a variety of play equipment catering for different ages and have been designed to promote play and family based activities. Minister Givan also visited Clooney Community Centre, which has been redeveloped by the Residents Association to upgrade the interior, including improved layout, access and an extended kitchen. The refurbishment ensures all rooms are individually accessible and flexible for a wide range of uses. 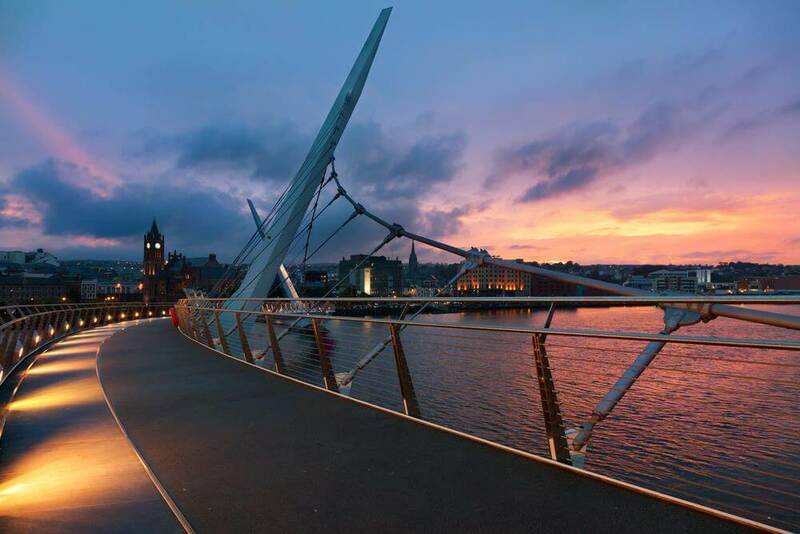 These latest projects are part of an extensive programme of capital investment by the Department for Communities across Neighbourhood Renewal areas in Londonderry, totalling £1.7million in the last year. V1 surveyed senior finance and IT professionals across a range of industries to find out about their use of technology. While the vast majority said that their AP processes were still paper-based (48%) or semi-automated (47%), this figure looks set to shrink as 58% are planning to increase automation with a further 39% considering doing so. According to APQC, a research firm that specialises in benchmarking and performance improvement, labour costs typically consume 62% of total AP costs, due to the need for manual intervention and posting and printing documents. Organisations that automate these processes typically achieve savings of 60-80%. Janette Martin, Managing Director – V1, says, “Automating tasks such as data capture and invoice approval is proven to generate substantial time and cost savings for businesses, allowing staff to spend more time on adding value. The survey also revealed that the majority of organisations have yet to introduce mobile technology into the finance function, with only 22% having the capability to perform tasks such as authorising invoices on mobile devices. However, 40% said they were planning to introduce mobile capability in the near future, while 37% said they were considering it. Greater efficiency was recognised by half of the respondents as the main benefit of using mobile AP processes. Just under a quarter (24%) said that mobile functionality would benefit them by accelerating invoice approvals, with 22% identifying cost-effectiveness as the primary benefit. Other benefits cited in the survey include better compliance, more flexibility and increased productivity. Martin adds, “Introducing mobile capability can further streamline AP processes and enhance efficiency, particularly when budget holders are spread across different sites or are frequently working on the go. V1 is a leading supplier of business automation software, providing award-winning document management technology to organisations in both the public and private sector that helps them to streamline their business processes, cut costs, free-up administration time and reduce paper consumption. 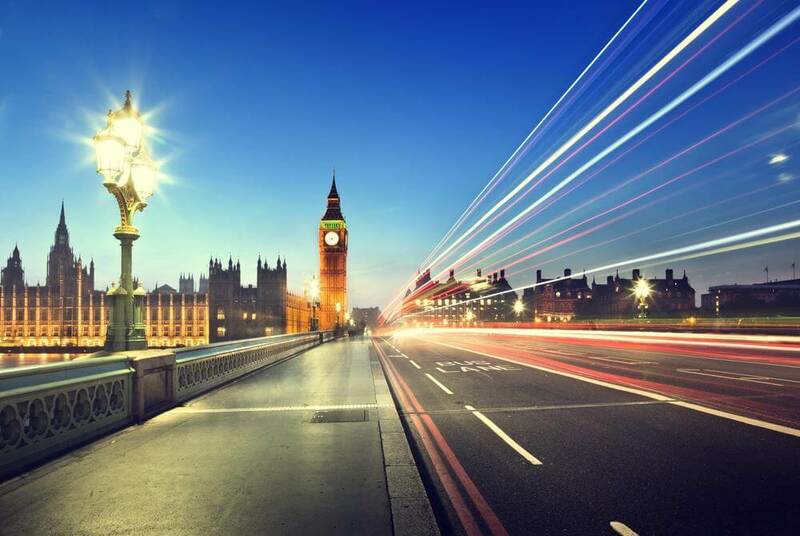 What is Happening in UK Commercial Property? Investor sentiment deteriorated in response to the UK construction outlook survey results in June, which were the weakest since 2009. 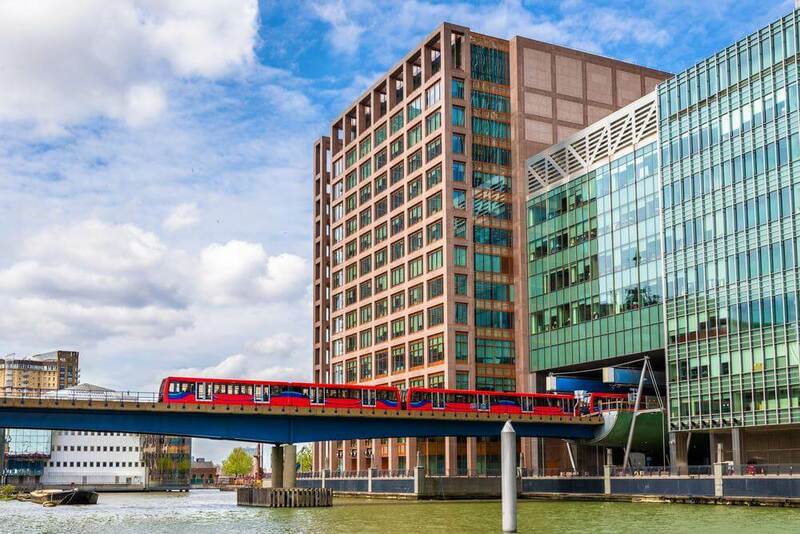 This was followed by a number of open-ended UK real estate funds suspending trading, in an attempt to halt withdrawals and protect the interests of remaining investors in their respective funds. Such decisions are not unprecedented. During periods of uncertainty or market stress, open-ended funds have suspended redemptions to protect investors and avoid asset “firesales”. However, actions taken over the last week do have negative connotations associated with the lead up to the last property crash in 2007. The problem, as always, is the liquidity mismatch between liquid investment vehicles and the illiquid bricks and mortar assets into which they invest. 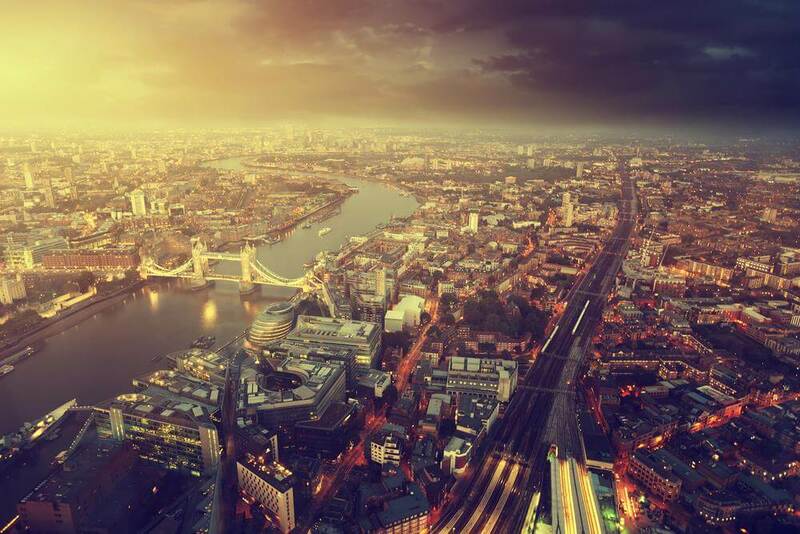 The market was already on edge prior to this announcement, and it seems that this event has reaffirmed investors’ fears around a slowdown in UK property. What is our view looking ahead? Since the end of last year, we have been consistent in our view that the UK property market was entering the later stage of its post-2008 recovery cycle, especially in highly valued areas such as London and the South East. Arguably, Brexit has accelerated the cycle further towards the tipping point of a slowdown. Indeed, most commentators are expecting a slowdown in capital values over coming months. 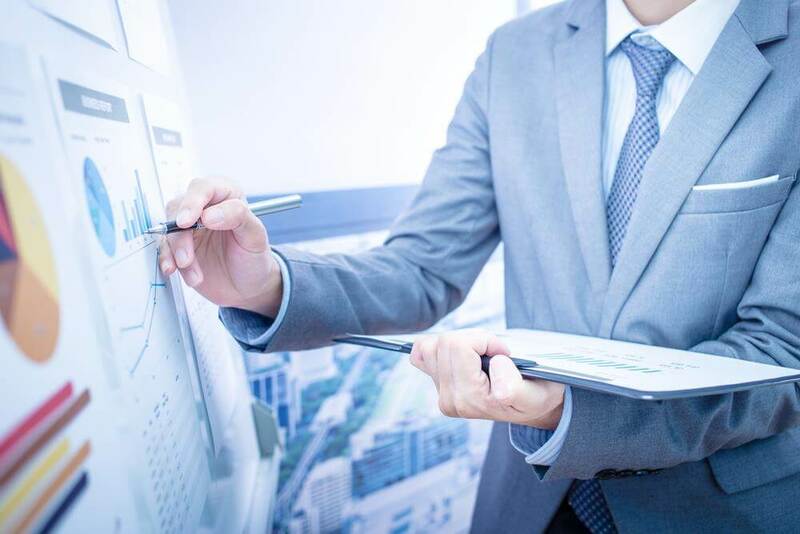 Moreover, an uncertain economic environment is likely to lead to businesses holding off investment decisions, which raises questions for the strength of the occupational market and rental demand going forward. It is possible that we could see a double whammy of both capital values and rental growth being hurt. • Open-ended property funds have greater levels of cash in portfolios today than in 2007 (15-20% in some cases), partly due to regulatory pressure post the financial crisis. In 2007, on the other hand, cash levels were very tight and a lot of open-ended funds were holding what they deemed to be “cash proxies”, such as investment trusts and shares in developers which compounded selling pressure in the sector as a whole. • Average leverage levels across much of the marketplace are far lower than 2007. One high profile example is the London-based developer Land Securities. Its loan-to-value ratio (a measurement of leverage versus portfolio value) was around 60% in 2007, but is now down at 19%. • UK banks are also better capitalised which will reduce fears of contagion into the broader market. 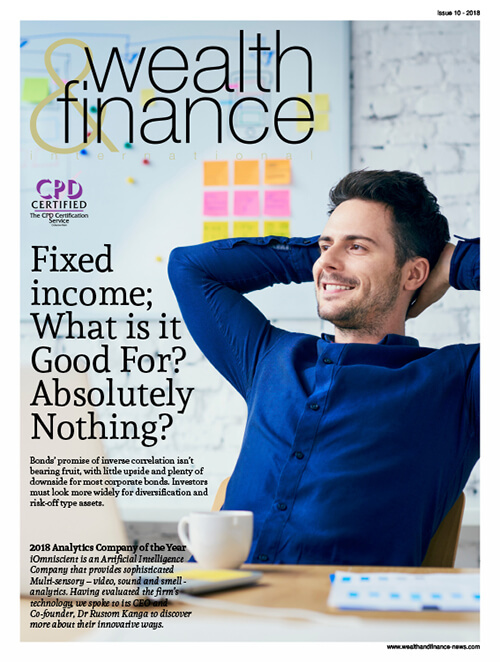 Overall, therefore, property funds are generally better capitalized today, with healthier balance sheets, and should be in a stronger position to withstand today’s selling pressure compared with 8 years ago. 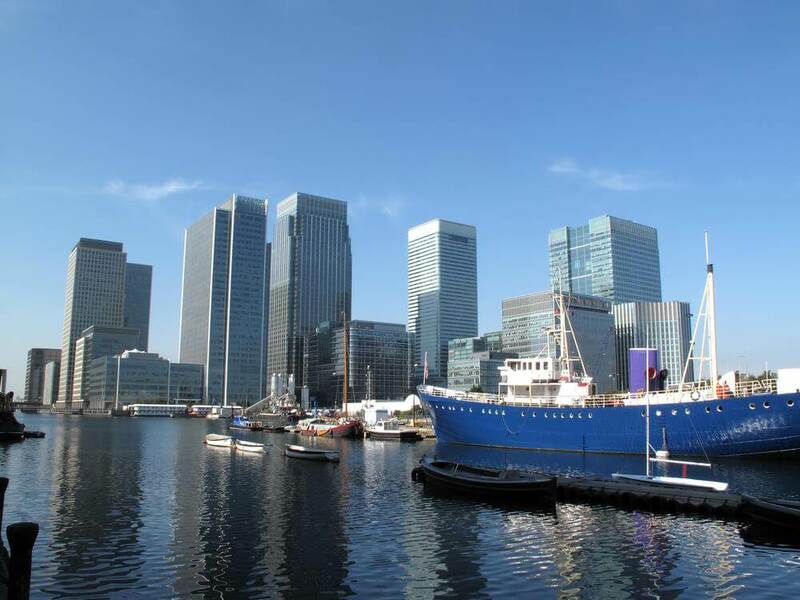 Inevitably, valuations of UK commercial property are becoming more compelling. Several listed investment trusts are trading at discounts anywhere between 20-30% and with yields of between 5-6%. However, there are significant caveats: namely the political uncertainty and downside risks to UK economic growth in the near term. Until the political impasse is resolved, until we see the UK’s economic adjustment making further progress and until we see hard evidence of transactional activity post the referendum result, there is little visibility in the short term around the extent to which capital values could fall further and their subsequent impact on rental growth. Of course, given the degree of the discounts and shape of the market compared with 2007, this does not preclude us from actively looking at opportunities, especially when it is so hard to find reasonable yields in today’s low interest rate/low growth/low yield world. Indeed, some risks could be mitigated by the ‘lower for longer’ interest rate environment, given that the Bank of England is expected to ease policy this summer. On a longer term view, sterling’s significant devaluation could also attract international buyers into the UK market, as global investors search for higher yielding investments. It should be remembered that despite current political difficulties, the UK’s open, transparent and consistent legal framework stands out compared with other developed economies. We have been gradually reducing property through the year, though not just in response to Brexit but also to reflect a maturing UK property cycle. We hold select exposure to areas of the marketplace that we expect to benefit from rising rental income due to supply constraints and low vacancy rates, such as regional offices and industrials, and have broadened our exposure outside of London to other key UK cities. UK property contends with a number of headwinds and we are actively searching out areas of opportunity in the context of market falls. In our view, it is still too early to assess the impact of Brexit on property prices, particularly as we have yet to see the impact on transaction activity following the referendum result. The market is trying to evaluate a fair price but until we see actual property deals being done, nothing is certain. We remain cautious on UK property given recent developments, but also recognise that we are reaching more attractive levels that could present opportunities further out. This acquisition is part of Martindale Pharma’s strategy to expand its product portfolio and actively support further growth of its hospital-initiated medicines product range. Viridian Pharma has developed five products all of which have regulatory approval in the UK and represent first-to-market specialty hospital-prescribed medicines. The product portfolio consists of caffeine citrate injection and caffeine citrate oral solution for apnoea of prematurity in pre-term babies, sodium chloride oral solution for correction of hypernatremia in infants, sodium citrate oral solution for the prevention of respiratory complications in women undergoing caesarean sections and peppermint water for symptomatic relief of minor upper digestive complaints. Martindale Pharma has been working with Viridian Pharma to manufacture and market the two key caffeine citrate products, and has built a strong market share of the neonatology or Special Care Baby Units in the UK over the past 10 years, exclusively using the Martindale/Viridian caffeine citrate range. Viridian Pharma will be immediately combined with Martindale Pharma’s existing growing business, which has an established UK and international footprint. Our company was established in 1983, and today we have offices in Kingston, Surbiton, Tolworth and New Malden. We cater for a highly diverse range of clients, ranging from first time buyers to the elderly. As such, we deal with clients in different ways, tailoring to their specific wants and needs. Alongside this, we use smart thinking and cutting- edge technology to keep our clients up-to-date with their property sale & purchase. Added to our expertise, we work with Move With Us, who are a national network of carefully selected independent estate agents working together to ensure a ‘best in class’ service to the public. As active agents of the network, our members pride themselves on building loyal, reputable and professional local businesses that depend greatly on the quality of service they provide to their clients. This involves raising our standards every day, and we do this by ensuring that our staff are regularly trained and fully qualified in estate agency practice and customer service. As you can imagine, keeping up to speed is incredibly important in the real estate industry. As demand soars and supply remains tight, the average price of a property coming to market in England and Wales has passed £300,000 for the first time. As a result, we need to keep up with the demand from our buyers with the intention of gaining new properties to sell. Challenges facing both first-time buyers and those trading up are highlighted by the fact that the average price has increased by 50% in just 10 years. Moreover, affordability constraints are further emphasised when considering that the average wage growth has only grown by 22% over the last 10 years. We need to help our buyers secure mortgages and have enlisted top quality mortgage advisers to implement this. As well as catering to the needs of our customers, we believe that it is also important to give back to our community too. We work closely with the local community and we have a close relationship with the schools that we sponsor including Coombe Girls, Grand Avenue, Tolworth Infants and Juniors. We are also the main sponsors for Our Lady Immaculate School. Furthermore, we are sponsoring a new local group called “Express”, who are a non-profit community organisation based in the borough of Kingston Upon Thames who support people with autism. More specifically, we regularly sponsor the comedy nights at the local Cornerhouse Theatre in Surbiton which are organised in aid of the group. Additionally, we are keen competitors for the annual Dragon Boat Challenge at Canbury Gardens, Kingston. This initiative supports some of our favourite charities, including Cancer research UK and The Friends of the Princess of Wales’s Royal Regiment, which is a military charity that has been set up by the Regiment to provide on-going support for our soldiers and their families. 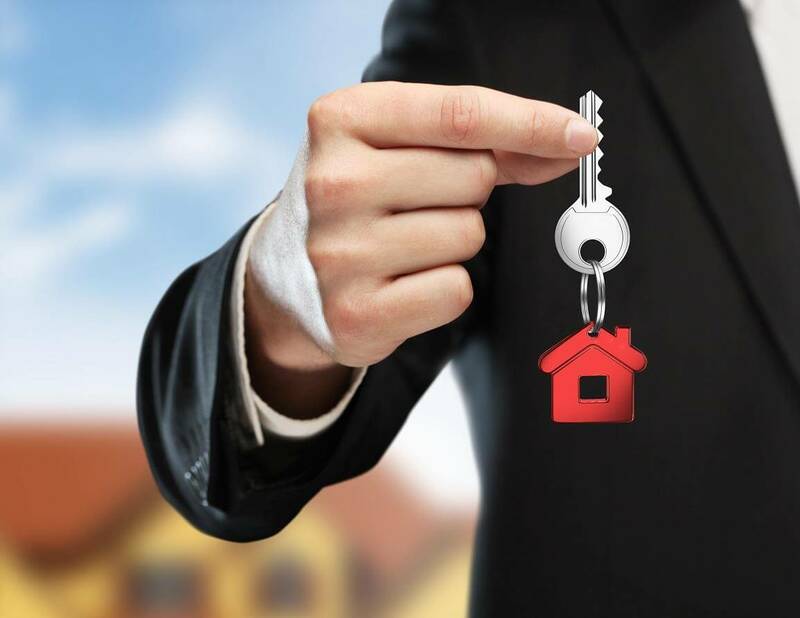 Ultimately, our aim is to make buying and selling property as smooth and hassle free as possible for our customers by providing a conveyancing service that is fast, professional and most importantly competitive. And of course, along with a first class service and a proactive approach. As a company, we are more committed to produce quality products and the focus will always remain the same. We are well known for our best and dedicated customer services with all our customers. We are always focused on making sure that needy patients get their medicines in time by putting special emphasis on the planning and supply chain. In regards to the people we work with we serve all the mainlines, multiple retailers and wholesalers, supermarkets and we also supply NHS contracts. The generic market at present in the UK is very competitive and challenging. Investing in new products especially niche products is the key for future growth. My focus has always been to reinvest into new product development and I am glad we have a good pipeline of new products which can catalyse the future growth. 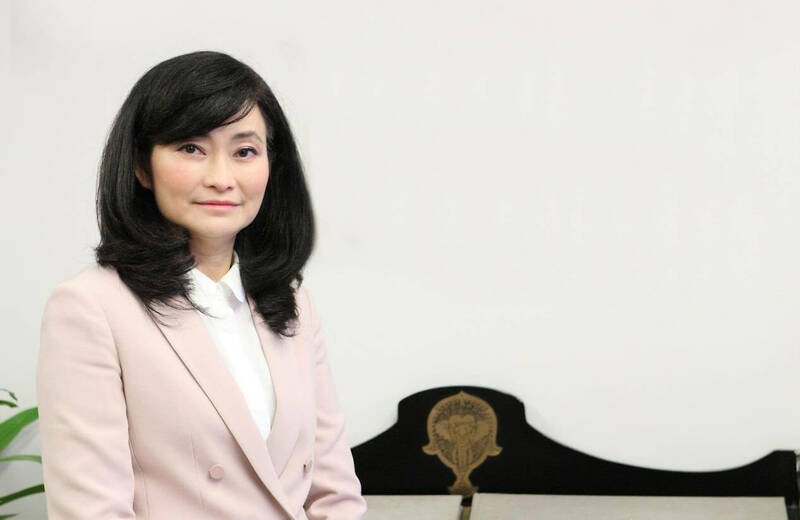 Before joining RelonChem, I completed my master degree in Pharmaceutical Sciences and have gone on to acquire more than 17 years’ experience in the pharmaceutical industry. I have worked in pharmaceutical manufacturing, formulation development, regulatory affairs, commercial and sales before I became Managing Director of this company. I am both surprised and truly honoured to have won this award. I would like to thank all of my colleagues who made this possible. Winning this award gives me a sense of recognition and further encourages me to achieve more and more. Looking ahead to the future we will be looking to launch number of new products and also identify more products for development so that the community can benefit from quality and affordable medicines. We will also be looking to enter in to the new dosage forms either by acquiring new licenses or by developing new products. Arguably the biggest challenge for both myself and the company will be sustain the current growth and grow further from there making sure all the targeted new products are launched in time. Increased competition, new players, volatility in pricing and the increased compliance costs will continue to be the challenges in the pharmaceutical industry. The property, which extends over 4,419 square metres of warehouse and office space, is used by Deutsche Post DHL Group to operate a mechanised delivery site (German: MechZB) for parcels. Completed in 2013, the property sold for an amount in the double-digit millions. With this latest addition included, the portfolio of the REALOGIS Real Estate Logistics Fund-Germany has grown to a total volume of around 130 million euros within a six-month period. The property just bought brings the number of fund assets up to eight. It is planned to spend another 150 million euros on acquisitions before the end of 2016. “The prestigious occupier, Deutsche Post DHL Group, the long remaining lease term, and the great location make this logistics property a top investments in line with our fund strategy,” said Bodo Hollung, Managing Director of REALOGIS Real Estate GmbH. The logistics property, which was completed in 2013, is located at Südring 98 in Bielefeld’s southern district of Brackwede on a plot of 15,000 square metres. The site comes with convenient access both to the town centre of Bielefeld and to the nearest motorway interchange (A2/A23). The mechanised delivery site in Bielefeld is the second of its kind in the portfolio of the REALOGIS Real Estate Logistics Fund-Germany, while the pre-acquisition audit for a third one is already in progress. Launched in 2015 as real estate special AIF, the REALOGIS Real Estate Logistics Fund-Germany invests in new logistics properties marked by a high alternative use potential and located in well-established locations, but will also invest in existing properties distinguished by great locations and a high degree of attraction to occupiers. The portfolio strategy aims for the greatest possible diversification in regard to size, age and location of the real estate as well as in regard to remaining lease terms. The investment volume of the fund is c. 300 million euros. Palamon Capital Partners (“Palamon” or the “Firm”), a pan-European growth investor, has agreed the sale of Eneas Group (“Eneas” or the “Company”) to Norvestor Equity (“Norvestor”) for an undisclosed amount. The sale will bring total proceeds to NOK 750 million (approximately €80 million), representing a 3.3x return on invested capital. The transaction is expected to close in August 2016, subject to regulatory approvals. Full terms of the sale were not disclosed, however, following the transaction the Company will continue to be led by CEO and Founder, Thomas Hakavik. Eneas is the leading independent supplier of corporate energy services to small and medium sized enterprises (“SMEs”) in the Nordic region and serves more than 25,000 customers with energy brokerage, energy audit and smart metering services. Palamon acquired a substantial majority stake in Eneas having recognised the growth potential of its highly-scalable energy brokerage business, which intermediates between SMEs and the deeply fragmented Nordic supplier base of almost 300 energy providers. Under Palamon’s ownership, Eneas has grown into the largest independent energy broker for SMEs and the clear market leader in Norway and Sweden, representing 1.7 TWh of annual energy consumption. The Company has been able to successfully leverage its scale and sophistication in navigating the Nordic electricity market to offer competitive, convenience-focused products tailored to the needs of its SME customer base. Palamon’s previous investments in the Nordic region include: Espresso House, which it realised in 2012 for a 3.4x return and Nordax, which it sold in 2010 for a 3.8x return. The Firm’s investment strategy targets businesses that can capitalise on long term growth trends arising from socio economic and structural changes within sub-sectors of industry. 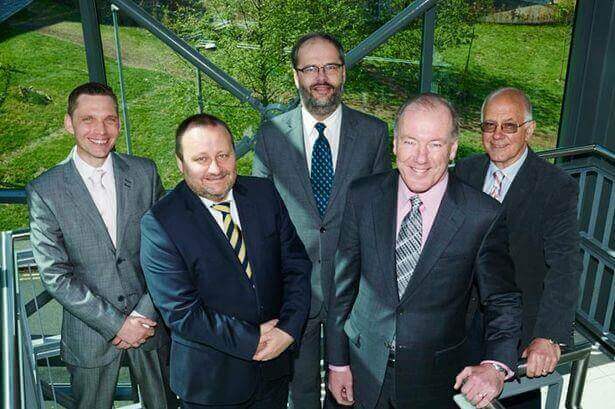 In April, Palamon signed an agreement to sell Towry, the leading independent UK wealth manager for £600 million and a 13x investment return. 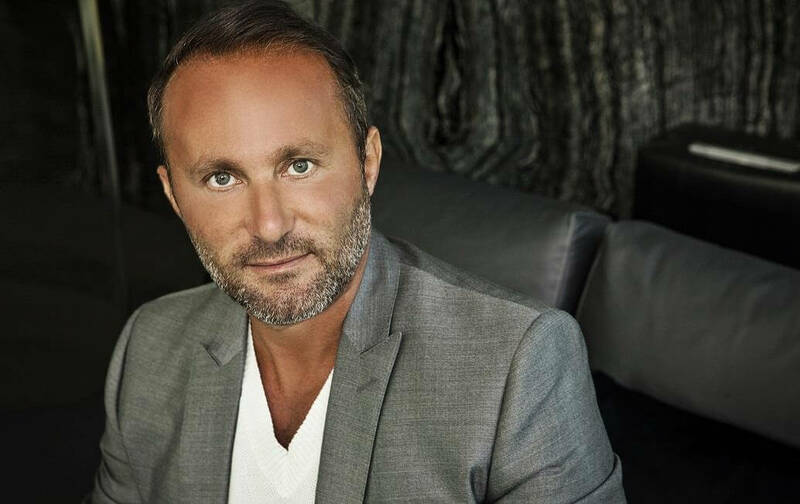 Palamon’s recent investments include the acquisition of control positions in three Founder-owned businesses: Currencies Direct, one of the largest specialist international payments providers in the UK; Il Bisonte, an Italian leather accessories brand with an established sales presence in Japan; and The Rug Company, the leading global retailer of designer luxury rugs. Our services typically include Outside Broadcast, Major Projects, Host Broadcasting, Fly-Pack, Post Production, Uplink & Satellite Communications and Video Display. We specialise in technological broadcast and content management solutions coupled with experienced crews and project management. NEP UK & Ireland Broadcast Services provide equipment and crews for the coverage of live or recorded events. The genres typically fall across sports, music, reality and entertainment and we supply the personnel to engineer and operate our cameras, lenses, displays, video, replay, storage and sound equipment. NEP UK & Ireland Creative Technologies provide solutions to create edit and distribute some of the world’s best known current affairs programmes, commercials, drama and film. Our award winning talent is unmatched and their work is enjoyed by millions. Next time you are watching a new feature film, your favourite comedian or band or enjoying your team succeeding in a sports final it may well be possible because of what NEP UK & Ireland do. 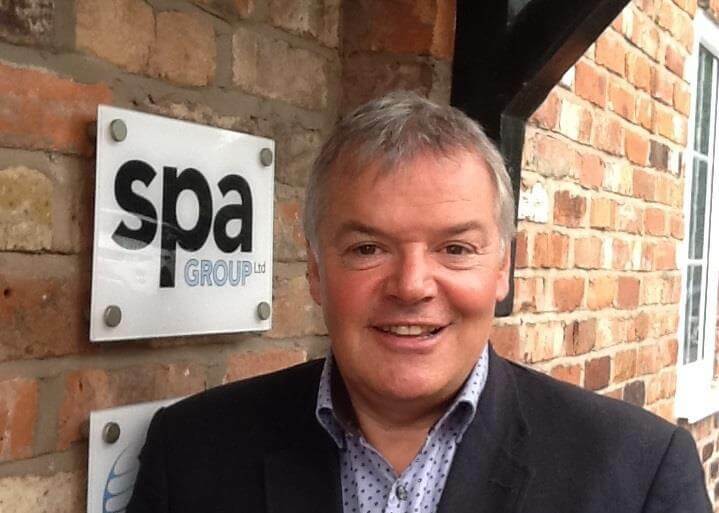 I (Steve Jenkins) started in outside broadcasting in 1993 after completing my higher education in arts and media. Initially I started as a General Assistant and then after some training I became a Vision Engineer. 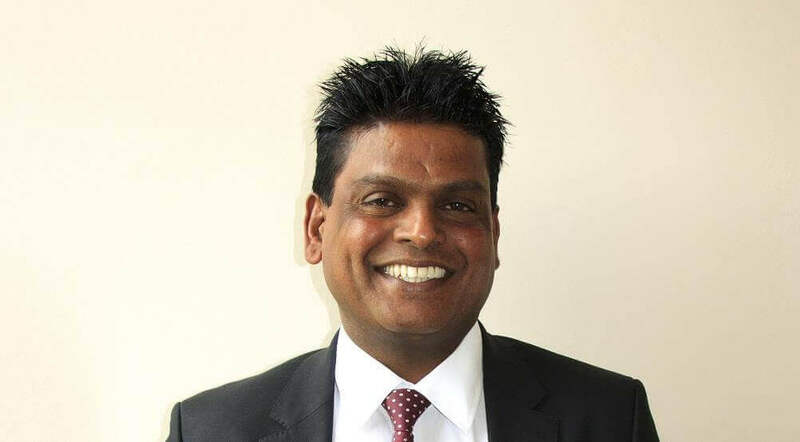 I joined Visions Limited in 1997 and was fortunate enough to progress through the company from being a Technical Unit Manager to Commercial Director in 2003. ‘Visions’ was acquired by NEP in 2005 and I became Managing Director of Roll to Record Limited, another NEP acquisition in 2006. Remaining with the NEP group and having successfully grown the Roll to Record business in January 2009, I took on the role of Managing Director of NEP Visions. Today I am President for the NEP UK & Ireland Group of companies, including the latest acquisitions, ScreenScene, Digital Space, Ardmore, OBS TV and Observe. In addition I am also a member of the NEP leadership team and have aligned with my colleagues in 16 different countries around the world. I am hugely passionate about the industry and the people working in it and we continue to drive forward an ethos of embracing new technology, developing talent and using them to enhance our clients’ coverage. I lead an extremely talented and motivated team who thrive on the challenge and excitement of outside broadcasting and creative media management. In regards to our clients we serve a diverse range of people who operate in differing markets with differing needs and the content reaches a spectrum of audiences across sports, light entertainment and music events. Typically our clients are leading broadcasters, production companies, governments, advertising agencies and film producers. We have a great track record and have long and trusting partnerships with our clients, every day brings new challenges and we constantly push ourselves to succeed. Being a creative technology business we have to be innovative, that’s exciting and brings change but we also need to make sure everything we deliver is of the highest of standards and that we deliver everything on time. I care passionately about my staff, NEP and the company so I take every decision seriously. To have been awarded ‘The Business Elite UK MD of the Year 2016’ is a great honour and I feel that any win for the company is a team effort and shared with all the staff, we are a close community and take great pride in our work. Looking ahead to the future if we can continue to thrive as a company and identify any opportunities which we can take advantage of then we will be more than content. Despite being around for over two decades, 2015/16 was actually a record year for SPA and a culmination of a great deal of hard work by the team here. While we are successful, and it hasn’t happened overnight, we never rest on our laurels, because in our industry you are only as good as your last campaign or live event. As for our clients, I work across many industry sectors, spanning American Golf and Black Death Vodka and to the lime industry and commercial engineering. All of these endeavours require a fresh approach to their marketing, PR and events, and this is something I really enjoy conceiving and delivering. When expanding our client base, we are often approached direct, but I also recommend networking at the highest level, as this is something that has certainly paid off for me. In terms of my experience, I started my career as the brand manager for Vladivar Vodka, ‘the Wodka from Varrington’, working for Greenalls’ Brewery. After that wonderful opportunity, spending 10 years in-house, doing amazing marketing and powerful PR stunts, I stepped over to ‘the other side’ and joined the agency world. It was in this environment I was able to use my flair, creativity and sense of humour, aligned with marketing nous and experience. Generally speaking, I enjoy going into companies where growth is an issue. I tend to come at problems from a new, but informed perspective. I find this can awake slumbering giants who are embedded in old ways, and the younger members of the in-house management teams tend be fully supportive of these fresh ideas. Then, when they start to work, everyone feels the momentum and we are all winners. Looking further down the road, there are many issues facing companies in our industry. Succession planning is one for all ambitious companies. However, I intend to continue developing my team and delegating greater levels of responsibility. If I can get my golf handicap down to around 15, my succession planning would be deemed to be working. As for this award, I am delighted to have won this very prestigious ‘gong’ and hope perhaps it is reflection of a certain doggedness to ride through both recessionary times as well as the years of plenty. Ultimately, if I can continue growing the bottom line, doing great, exciting work for some fantastic clients I will be very happy. It’s not about me or my business, but moreso about the success and growth of my clients’ businesses. If we get that right, everyone succeeds! With offices in Aberdeen and Caithness along with our main office in Ellon, Aberdeenshire we have a committed team who can provide financial advisory solutions at your request. 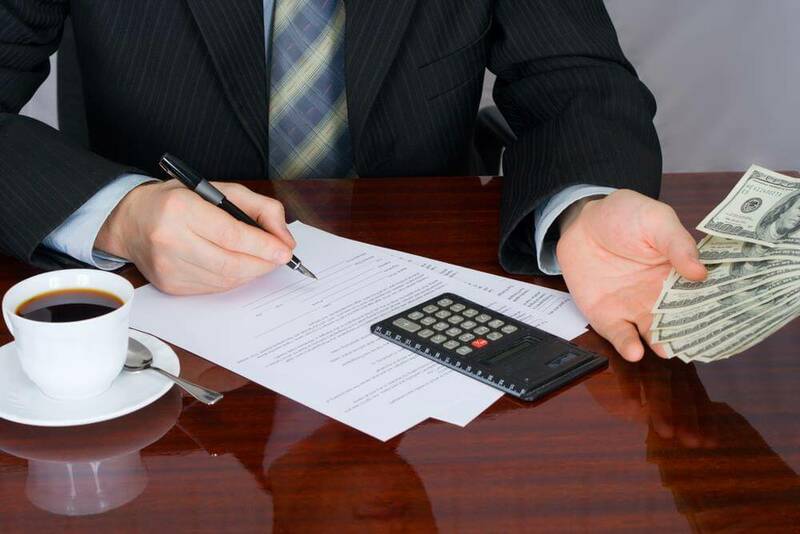 In terms of our approach to our clients, we are happy to meet them where they find the most convenient, and our aim is to find our clients the most competitive financial products to suit their individual needs. In regards to our investment advisory service we typically deal with investment bonds, investment trusts, capital protected investments and children’s saving plans. However, we can also deal with bank and building society accounts, personal taxation planning, inheritance tax planning and tax efficient investments etc. Our mortgage advice generally covers a wide area with first time buyers, home movers, remortgages and buy to let mortgages being most common. In regards to pension services, we offer advice on personal pensions, stakeholder pensions and self-invested personal pensions. At the moment we are dealing with a lot of “At retirement” advice. The pension freedoms last year have seen a huge spike in business in this area and our Senior Financial Planner Ryan Yule, is being kept very busy with pension enquiries. Last year we arranged over 200 mortgages and we are on track to arrange over 300 mortgages in 2016. If we take a closer look at the industry, one of the challenges we are currently facing is regulatory costs. However, looking ahead to the remainder of 2016 and beyond sees Aberdeen being severely impacted by the low oil price the local economy in the north-east which is challenging to say the least. In addition, at some point I can see purchase mortgages decreasing, but the increase in people looking for pension advice is negating this for us. In December 2015 we moved into a larger office and throughout 2016 it is our aim to continue our growth. We have recently taken on another administrator and we hope to have another financial planner on board in the near future. Company: Phil Anderson Financial Services Ltd.
We are partners with a number of international firms including Metastock, SAS, Microsoft, Citrix, Face Group, and Hootsuite. Forrester Research highlighted our efforts in the field of Natural Language Processing, Big Data, and Text Analytics for Arabic language in a report published on November 2015 entitled “The Gulf Cooperative Council’s Big Data Opportunity: How The GCC Can Use Big Data to Be More Competitive”. In regards to the financial areas, our company launched a portal for financial market analysis and training. The project merged applications of information technology and financial market analysis in a unique portal. The portal provides our customers with e-training courses and lectures to learn how to use technical analysis software like Metastock and Xenith in order to help them take the right decisions during their trading. The portal also offers the possibility to attend our training programs and lectures via the internet using live webinars and virtual classroom technologies. These technologies enable the trainees to attend lectures remotely from any place, using any computer or smart phone or a tablet PC. This is achieved by using Citrix e-collaboration technologies for live broadcasting and online collaboration. Recorded lectures and webinars are also available through an integrated Learning Management System. In addition to this portal, we offer to our clients other consultancy services which merge information technology, financial market analysis software, finance, economics and business. In this respect we offer consultancy in using information technology and financial market analysis software for financial and investment institutions and private traders. We also develop information technology solutions and software for corporations working in financial markets. Our hands-on training, support, and customisation for Metastock software is used in financial market analysis. Moreover, we support media and business institutions with financial reports and economic indicators utilising financial market analysis software. Looking ahead to the remainder of 2016 and beyond, we are working on utilising big data analytics and social media analytics to provide our customers in the financial sector with insights and indicators that help them in sensing and measuring the market trends and taking the proper decisions. In this respect, we have developed a Sentiment Analysis API for Standard Arabic language and Kuwaiti dialect. We have also developed a social media analytics system optimised for Standard Arabic language and Kuwaiti Dialect. These systems can be utilised to analyse the investors’ trends, sentiment, and tone in relation to financial markets, stocks, news and other events affecting the local and regional financial market landscape. We are also focusing on Social Trading by merging our experience in information technology, social media analytics, and financial markets to provide our clients with a robust interactive social trading environment which can be applied to local, regional, and international financial markets. First of all, can you give us a brief background to the company? The company was founded based on inspiration, and at its dawn I realised there was something missing out there with credit card transactions online and a way to secure this. I came up with the idea of a “Next Gen Payment Gateway” which encompasses cyber security. It secures the transaction, encrypts the card, and ensures that the identity is completely stored so nobody can hack into it. In addition, it uses a third party card number to prevent merchants and customers from being a victim of fraud or identity theft. Although Allied Wallet was founded in May 2006, it took six years to build a platform. We are the only company in the market today that has no CV investors because it is all self-built. If you think of any company including PayPal, they all started with money from an investor because such firms did not belief in themselves. I believed in myself and the company while risking my own money in the project. What is the most exciting thing about your position in the company? As the sole owner and CEO of Allied Wallet, the most exciting thing is being hands-on and my involvement with the everyday activities of the business. I like to understand what goes on in my company. I enjoy communicating with my people to improve things. If I’m not on top of it all, how can I therefore improve it? Could you tell us a bit about the 24-hour support that is available to your customers and why you think this is important? Many other companies out there in the market today don’t provide sufficient, live customer support, even PayPal. Allied Wallet still firmly believes in the old school approach, when you have a problem you can speak to somebody about it instead of being put through to an automated machine. An automated machine is not the way to conduct business. We are human beings. Allied Wallet has customer support in place with people able to speak different languages. 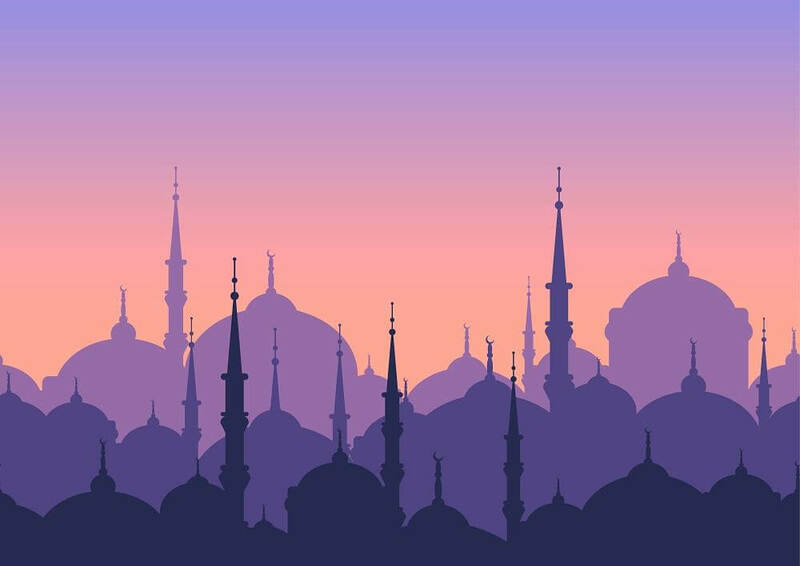 The company is able to speak in English, French, German, Spanish, Arabic and Japanese and this is very important in regards to accommodating consumers, to ensure they are satisfied with the service they receive, and also to listen to the story and frustrations of the merchants. In short, we have to look after them. Could you tell us about the size and nature of your client base? Allied Wallet is massively well-known in the US, Europe, and Asia and we deal with clients that do €100 a month to €15m a month in business. We take care of businesses of all kinds, so whether you are a small merchant or a large merchant, we will treat you the same. Ultimately, our firm likes to do business with everybody. We had merchants start nine years ago and they have stayed with us and have been loyal, despite every other processor out there trying to get them on board. When you start-up an e-commerce business a lot of people don’t believe in your ideas and that includes banks. With no investors and no money in the bank it can be very difficult as a start-up particularly if you have just come out of university and college, the banks will only cater for big businesses. This leaves many entrepreneurs with no hope and that is the problem. In the past ten years, I have managed to get approximately 3600 entrepreneurs on board with me, and right now they are making a massive volume by generating more than 600,000 jobs in the UK, USA and Asia. Companies like Allied Wallet believed in them and as a result they are helping the economy and indeed all of these families, instead of sitting at home unemployed and taking the government’s money. Allied Wallet helps guide our clients through both the good and bad times, and they stick around because we treat them every much like a friend, not a client. Could you tell me about your offshore credit card processing solutions and what this entails? If you are a UK-based company and have consumers scattered around the world, the question is how your bank is going to understand. If you have a European entity in the UK and more than 50% of your customers are from outside Europe, your bank is going to look at you as a potential risk for them and they could close down your account. Banks don’t understand that e-commerce is international and globally accessible due to the world wide web. From a compliance point of view, they don’t understand why consumers are going to buy your product, so we at Allied Wallet consider ourselves as the messiah of global processing simply because we make things happen. Why should potential customers out there choose Allied Wallet? First, we are partnered with every popular shopping cart solution. We can make it happen because we already have them integrated. We’ve spent years and years integrating shopping carts. We have about 40 of the best shopping carts in the world with approximately 200 million consumers on the back of them. This integration takes less than a few hours to give consumers access to shopping carts in every region of the world. We take Direct Debit, ACH (the electronic cheque), VISA card, American Express, and many other payment methods which banks do not provide – but as a global processor, we have all these in place. What are the challenges and opportunities for you and the company in 2016 and beyond? The company is growing and is doing great, but the only thing I would say is we need to add more services. More services entail finding a more flexible way to do electronic payments, indeed we have a new mobile device coming out which is the pin, chip, and swipe – all of which are combined in one device. We also have a card registration service. Which means if you have a card registered with Allied Wallet, you will never have to apply for a card again or pull out your wallet again because it is fully electronic. We guarantee the transaction and the payment for all of our merchants, so you will never ever see fraud transactions or a chargeback based on the usage because we have the full information stored in our facilities for every single consumer registered with Allied Wallet. We are preventing the merchant from becoming a victim of fraud and accommodating the consumer with an easy and secure way to pay. Thank you for these inspiring and choice words. Is there anything else you would like to add? I would say one thing to entrepreneurs out there and to everybody reading this… Hope is the best thing you can have, and that I am one of you. I believed in myself and took a chance and made it to the top. Don’t be afraid. There is always light at the end of the tunnel. Just believe in yourself and you will get everything you want in life. Don’t let anyone slow you down. If you don’t start today, every day you waste is one you will never get back in life. My career background has been quite diverse in nature; from being in the Australian Military before joining Rupert Murdoch’s News Limited, to then joining Quickcut which was my first ‘step into the world of enabling and disruptive technologies’. I embraced the reasons and benefits behind the use of new technologies in the workplace. Be it from the introduction of the personal computer, to cell phones, to smartphones, to cloud computing and social networking. There is no doubt that the introduction of these technologies has shaken up the status quo and enforced a management re-think. 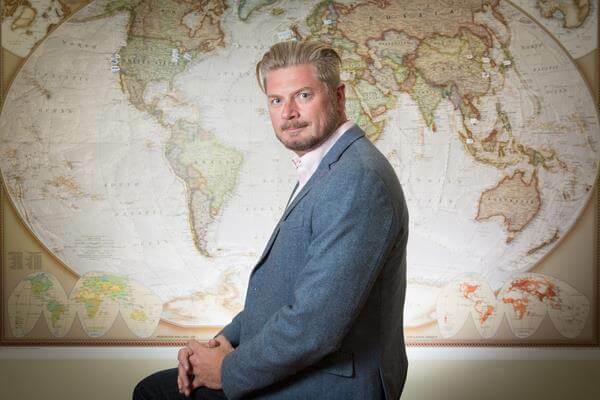 I understood that I needed to be part of this change and as such, I now have extensive experience in ‘building’ early-stage technology companies from the brand management, advertising and marketing sectors before expanding their ‘footprint’ internationally, which led me to joining Adgistics some six years ago. The company’s solutions platform, the Brand Centre®, has evolved in line with the changing demands of brand management and the challenges marketers face. The Brand Centre is a suite of networked technologies that enable companies to optimise and support some or all major marketing operations activities and processes. 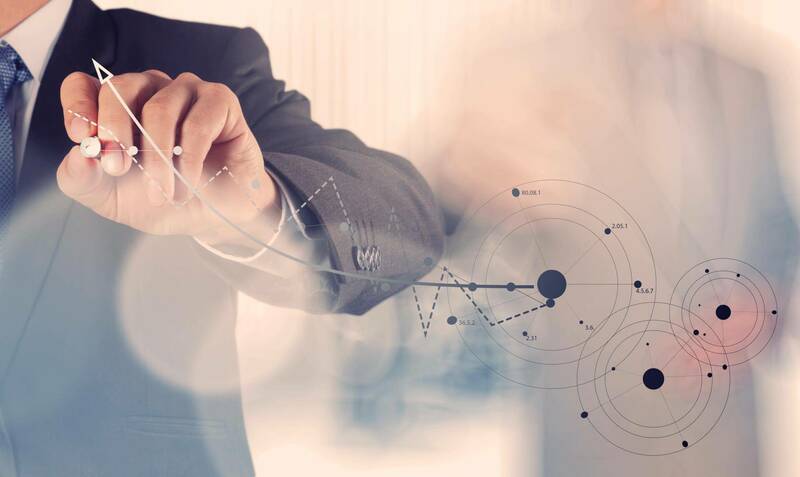 Whilst it has been developed on solid, proven marketing asset management and business process management, it also matches specific functionality to individual enterprise needs, and recognizes that these needs evolve. By doing this, Adgistics ensures optimum uptake, operational efficiency, improved productivity, organisationwide transparency and contribution to building brand advocacy. Even though I have been immersed and involved with these ‘types’ of technologies for over 25 years, if doesn’t stop me from being continually amazed with the volume and creativity of the ground-breaking technologies being developed and how these advances have and will continue to transform life, business and the global economy. Given that the challenges faced by marketers today is ‘universal’ in nature and ever evolving, Adgistics solutions are used by brands of all types and sizes from small to medium sized businesses, to large corporate enterprises. Interestingly, in the last 24 months, the company has seen a lot of traction from brands in the Financial, Pharmaceutical and Healthcare sectors where the volatility in both their respective market conditions and public perception have caused these sectors in particular to consider the best methods to make brand coherent, effective and consistently expressed on a global stage, whilst taking into account they operate in heavily regulated industries. As CEO, I need to ensure we stay cognisant of the challenges facing marketers today as they conceive new ways to aggregate and curate content, whilst simultaneously managing campaigns and maintaining a strong brand value identity. However, I also need to ensure we understand that we also ‘operate’ in a rapidly changing digital landscape where marketers must re-think the roles their brands play in the lives of their customers, and how they bring those roles to life across platforms and touch points. As such, one of my challenges as CEO is to ensure our client’s and the market understand that Adgistics is constantly striving to demonstrate its desire and credentials to those marketers so that we can help them deliver upon those challenges. We believe a company’s brand extends beyond marketing communications. It is a management asset and business system that provides a common language across the multiple specialties in a business. It can be optimally managed through a Brand Centre to create growth, profit, sustainability and long-term value. 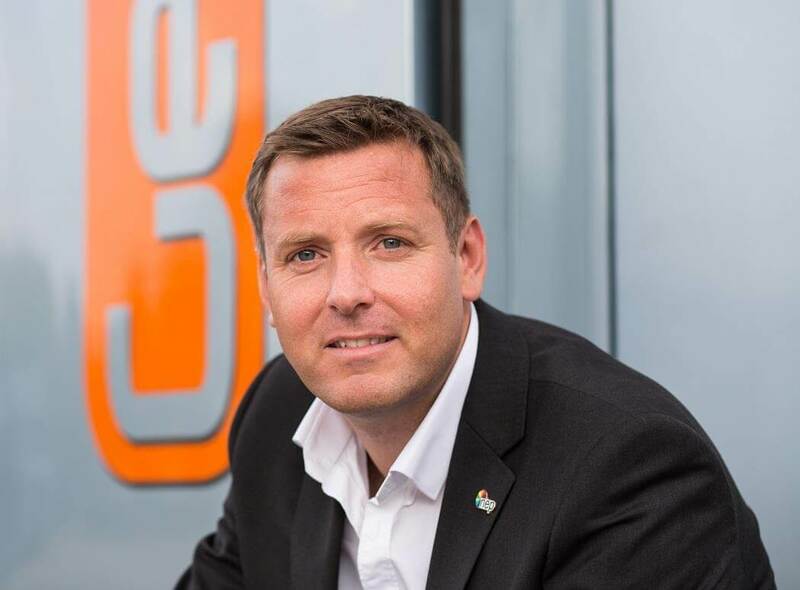 During the six years I have spent as CEO of Adgistics, we have had a lot of successes in terms of new client wins, platform development and expansion of our ‘global footprint’. However, I was insistent that our many successes didn’t compromise our core values of quality customer service, maintaining strong values and integrity and also the desire to continually quest for improvement. To that, Adgistics continues to grow and extend its reach both across business verticals and geographies. It is certainly an honour to be awarded Business Elite CEO, and I would like to thank Wealth & Finance very much for the recognition. Being CEO of a company that has such a group of innovative, passionate and professional people who love what they do is something I am extremely proud of and makes the role even more enjoyable. Looking towards the future, I am very confident that Adgistics will continue to grow in 2016 and beyond. It would be too easy to focus on ‘delivery and results’ and lose sight of what is more important. I need to ensure we have clarity on what we stand for, where, why and how we’ll get there. We operate in the ‘world of branding’ and how brands utilise technology to help them serve their customers better continues to evolve at a rapid pace and as such, we must constantly demonstrate that we can deliver with and for our clients. I want Adgistics to be the company our clients look to for inspiration. Birtenshaw was established in 1956 by a group of parents as a special school for young children with cerebral palsy. Today our firm provides a wide range of services for children and young adults, with severe learning disability, including Autism Spectrum Conditions and/or significant physical disability, including complex health needs. The firm runs also a range of therapeutic health and wellbeing services. Although Birtenshaw is positioned within the voluntary and community sector, or what many people refer to as the ‘not for profit’ sector, I take the view that we should operate as a ‘social enterprise’ on sound business principles with the aim of making a profit. However, in our case the profit is not for shareholders but ‘profit for purpose’ so that we can re-invest and continue to expand the range and diversity of our services. We have been very successful at that over the last few years. Between 2012/2013 and 2015/2015 Birtenshaw’s turnover grew by over 326% whilst in 2014/2015 the bottom line improved by over 40% and in 2015/2016 by a further 126%. This has enabled us to increase the number of children and young people supported by our services in that time by over 280%. 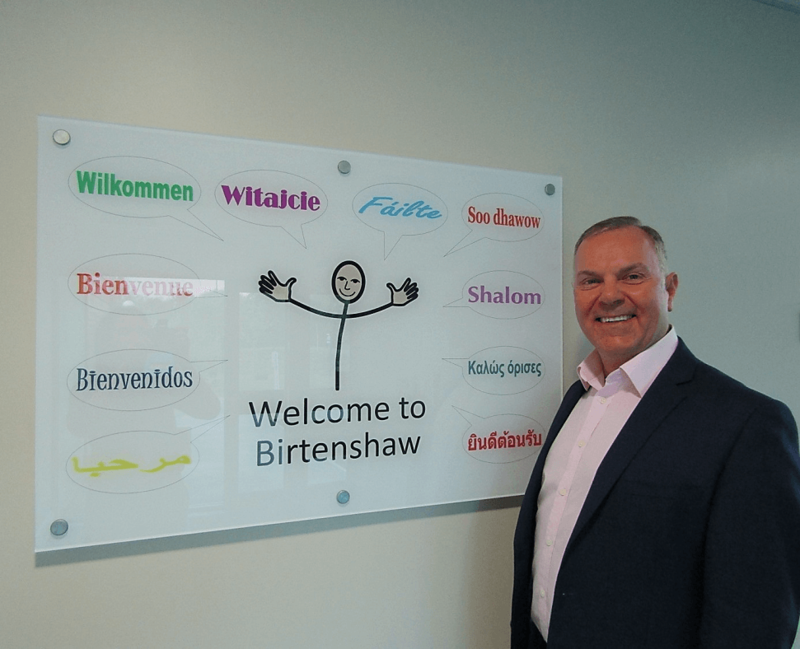 Birtenshaw’s vision is “brightening lives, building futures” for disabled young people, whether that be people who are physically disabled or learning disabled. Our vision is based on the philosophy of ‘ordinary life principles’. What this means is simply that young people with Special Education Needs and Disability are supported to take part in meaningful and enjoyable activities and have the same learning and social opportunities as other children. My own career background is mostly in the public sector; having worked for three North West based Local Authorities. Overall I have almost 30 years’ experience working in social work/care. From a young age I knew that I wanted to be a social worker and in particular to work with disabled children. Some of the younger members of my family are disabled and I saw the struggle they and their parents had to access quality services. I have always felt strongly that disabled young people should be able to access a range of quality services that helps to improve the quality of their life. I joined Birtenshaw in 2006 after making the decision to move from the public sector to the so called ‘not for profit’ sector. At the time I noticed a growing trend for local authorities and councils to have their funding restricted, and I wanted to move into a sector where I could have more influence over the allocation of resources and funding. Since my arrival at Birtenshaw I have worked tirelessly to grow the firm and expand our service offering so that we can meet the ever increasing needs and numbers of young people and children across the North West and beyond with special needs. Recent developments include the opening of a state of the art special school in 2012 with the aim to provide quality education services which are cost effective and cater to children and young people at every level of the disability spectrum, although in particular those with the greatest need. Birtenshaw School provides the ideal physical environment for the specialist learning needs of its pupils, with purpose built facilities. Consequently, the school is able to provide a spacious, calm and safe environment in which young people can thrive. Our facilities fully support the creative learning curriculum and “Total Communication” approach to this specialised area of education. Each of the classrooms is equipped with all of the state-of-the-art education technology such as touch screens and iPads which you would expect to find in any modern school. In addition, the school has a range of specialist facilities which underpin its special education needs functions by working with sensory experiences (sight, sound, touch, smell and so on) to develop senses, co-ordination and communication for each pupil, promoting interaction, concentration, calmness and confidence. These facilities include a sensory integration room; a multisensory dark room; on-site hydrotherapy pool with multisensory sound and light system as well as a soft play area. The school’s multisensory input is supported by its fulltime occupational therapist who completes a detailed sensory profile for individual pupils, producing a ‘sensory diet’ for the school’s professionally trained staff to follow. Outside of the classroom, the school has also provided safe enclosed outdoor play spaces and a horticultural garden, and the school is currently developing a sensory garden, to allow pupils the chance to learn in their own way outside of the classroom. I am delighted that the success of Birtenshaw School is recognised at national level as it has been nominated as a finalist for the second year in a row in the Times Education Supplement Awards (TESAwards). In addition, we have only just learned that the school has also been nominated for a national Diversity Award by a parent of one of the children. In September 2014 we opened a new special education further education college. The intention was to provide the same quality of learning for students up to the age of 25 years old. The college has now achieved Independent Specialist status with the DfE and the Education Funding Agency and is already oversubscribed. Birtenshaw School has been graded independently as an Outstanding School and we look forward to a formal Ofsted inspection in the near future. In addition to our education services, we operate a number of care services for young adults and several children’s homes (which make up the majority of our service offering) have been rated by Ofsted inspectors as Outstanding. Given the quality of our services it is no surprise that many Birtenshaw employees are nominated for national awards. In the last few months, a manager and a support worker form care services have got through to the national finals of the GB Care Awards, two other front line leaders are finalists in the National Learning Disability and Autism Awards and my deputy CEO is a finalist in the E3 Business Awards as an ‘Outstanding Woman in Business’. It is the quality of the people in my team that makes Birtenshaw such a success. Although there is nothing unique in offering education or care services to disabled children and young adults, Birtenshaw is differentiated from its competitors because of the high quality of care, cost effective approach and versatile service offering. Over recent years we have noticed that local councils and authorities are purchasing our services more often, because as I predicted efficiency targets are a prevailing trend in the Special Education Needs and Disability sector, and many public sector providers have seen their funding significantly reduced over the past few years and their capacity to provide services themselves has decreased accordingly, leading councils to outsource to firms such as ours. Another key trend which is putting a strain on the public purse is the increased number of people living for longer with significant physical impairment and the increasing number of people being diagnosed with autistic spectrum conditions. Advancement in medical services and knowledge has helped medical professionals to diagnose Autism more easily. Whilst I believe that medical advancement has a part to play in this, I also believe that there are other, as yet unproven, reasons for the significant increase in the number of people presenting on the autistic spectrum. I have a number of growth strategies in place to assist Birtenshaw to continue our phenomenal growth to build on our current level of success and expand into new sectors, allowing us to help more people with Special Education Needs and Disability. When we built the new school three years ago we drastically underestimated the demand for our services, although we have just received confirmation for the DfE to enable us to increase the number of registered placements at the school, we are also looking into a number of expansion plans, including redeveloping our previous site into new classrooms, and creating an early years’ service. During the remainder of this calendar year we will be opening at least another four children’s homes, to compliment the recently opened children’s short break centre (formally called respite) which is designed to provide an enjoyable positive activity based experience for the child and a break for their parents/carers. Although the new school and future new education services are exciting new ventures for Birtenshaw, approximately 60% of our business is care services and allied health support. Ultimately we anticipate that the number, diversity and age range of the people we support will continue to grow over the coming years, and we are keen to ensure that we meet this need and can provide quality, cost effective education and care services to meet the needs of some of the most vulnerable disabled young people in our society and ensure that they experience an improvement in the quality of their lives. Founded in 2001 and headquartered in London, Asite helps people share information and build knowledge in a secure cloud environment. Asite’s cloud technology gives everyone involved in projects access to key information online in a secure environment. It allows for increased collaboration, fewer mistakes and reduced rework, giving huge time and cost savings. In an interview with the firm’s CEO – Tony Ryan, he reveals that he was honoured to be awarded the Business Elite CEO of the Year 2016, and sheds light on Asite’s cloud technology. The CEO at Asite since 2006, Tony turned the business around to produce consecutive quarterly growth and led Asite to its current position as a leading corporate collaborative cloud solution provider. Prior to Asite, Tony held a number of senior roles with companies including Renaissance Worldwide, Group Bull and Cara Information Technology. He has over 27 years’ experience in the IT services arena, with extensive knowledge of corporate collaboration technologies. When he can find the time, he enjoys nothing more than playing (albeit badly) a game of golf or two. First of all, can you elaborate on what the firm does? Asite’s cloud technology gives everyone involved in construction projects access to key information online. It allows for increased collaboration, fewer mistakes, reduced rework, giving demonstrable time and cost savings. Asite’s Adoddle platform allows teams to store and manage all project data in one central and secure repository, integrating with existing solutions for big data capabilities. It also enables customers to fully customize the structure of their content with highly controlled access and rich configurable workflows to allow for improved project controls. 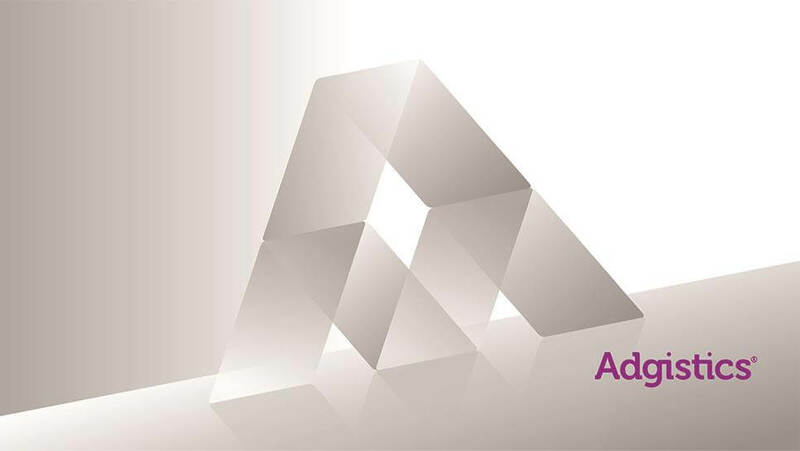 The Adoddle platform is used by leading architecture, engineering and construction firms, as well as property owners world-wide to manage their largest and most demanding capital investment programs. Can you go into detail about the areas your company specialises in? 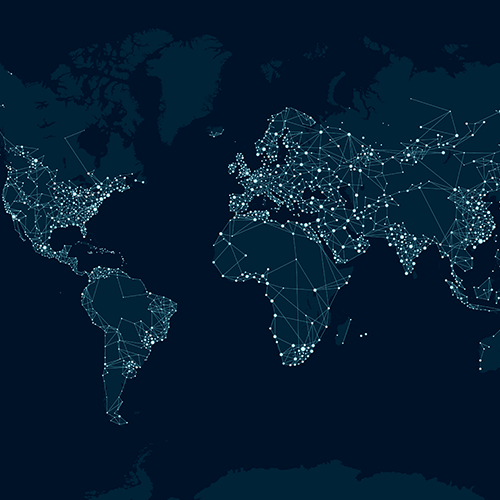 Adoddle helps global organisations manage their projects and supply chains collaboratively, accessing the information they need, when and where they need it. It enables AECO companies to measure and track capital projects and asset operations. Can you tell us how the business is going and the challenges you face at the helm of it? I have steered the company through some very tough conditions in a market that suffered the hardest since the downturn in 2008. I could not have done it without the incredible team that I have had the honour of working for – the Ateam. What experience do you have in the IT services arena and also in corporate collaboration technologies? I am the CEO of a business that helped start the wave of cloud collaboration services. I have over 27 years of experience working within the IT industry and have enjoyed every minute of it. Asite’s position as a global leader of corporate collaborative technology or cocial as we call it around here, will only continue to grow. What kind of clients do you serve and how do you approach them? Historically, Asite managed the entire asset lifecycle for the AEC community, from concept through to completion. We now take care of the beyond by offering our Cloud based services to the owner operators and FM firms. Through the firm’s award winning collaborative Building Information Modelling (cBIM) technology, we cover the entire spectrum. However, the firm is increasingly being asked to look at every aspect of technology within these businesses from CRM, Digital Media through to Finance. Do you have any plans for 2016 and beyond that you would like to share? The next three years will see exponential growth for Asite, particularly in the infrastructure and ever increasing manufacturing sector. BIM is a key focus for our clients in the AEC community. The firm are the leading provider of cloud based model servers and we will continue to lead in this area. What challenges lie ahead in 2016 for you as a CEO and for your company in 2016? UK’s exit of Europe and Donald Trump’s hair. But seriously, the main challenge is keeping up with our clients’ expectations and ensuring that Asite delivers the best service for their needs. I love a challenge but I prefer solutions – and the Ateam always deliver, we have a very exciting future ahead of us. Are there any specific industry based challenges you are facing now and in the future? My Golf handicap, helping government’s around the world and globally shaping the future of BIM. Do you have any further remarks to make? 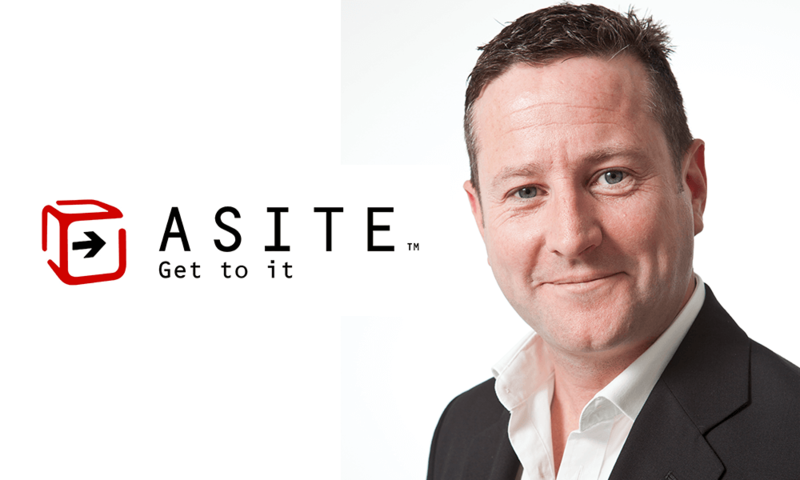 Asite’s company ethos is to make a difference and enable clients to Get to IT!. Overall, NAS Invest and BlueRock Fund have acquired close to 200 residential units across the Berlin districts Charlottenburg, Wilmersdorf, Tiergarten and Mitte over the first six months of the year. The two partners expect to invest another EUR 100 million over the next years. 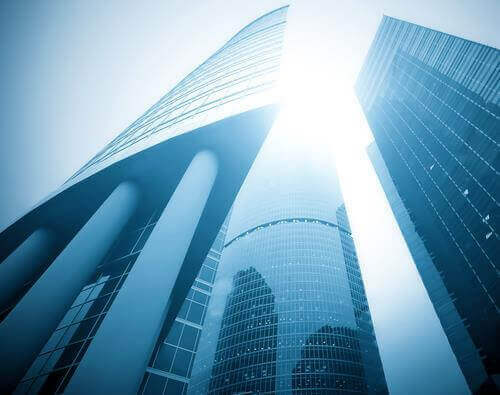 NAS Invest is responsible for property asset management and the implementation of the individual project strategies, while BlueRock is in charge of AIFM compliant fund management and reporting. “Our deep network enabled us to acquire these residential properties in Berlin off market. We will now modernise and reposition them in line with our fund strategy,” says Nikolai Dëus-von Homeyer, managing director at NAS Invest. “The Berlin residential market still has huge growth potential. Our ability to leverage a local network enables us to identify unique investment opportunities that stand out in the European market including from a risk return perspective,” adds Ronny Pifko, director and founder of BlueRock Fund. 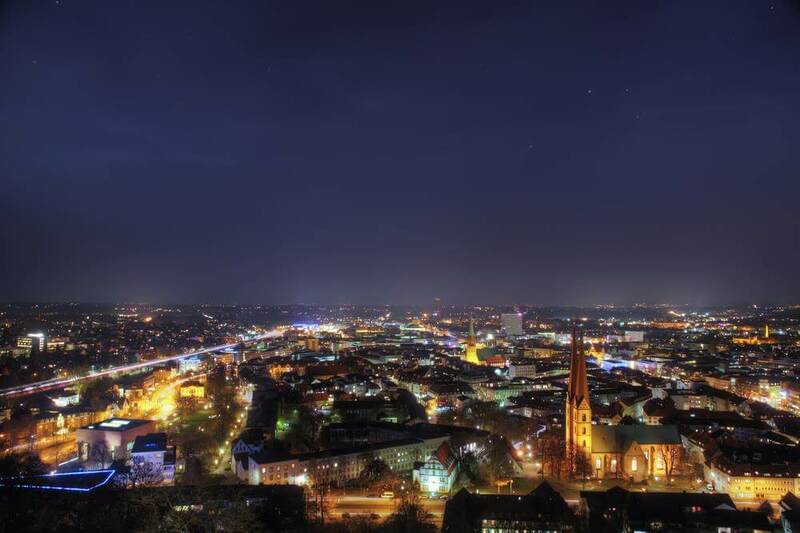 NAS Invest and BlueRock Fund target core plus and value add properties across German metropolitan regions and more particularly in Berlin for the “NAS Berlin Residential Growth” fund. Please go to www.nas-invest.com and www.bluerockfund.com for additional information. Brexit – What can Companies do to Mitigate the Impact? The United Kingdom, Europe and the world woke up this morning to a new reality. With the majority of the population voting to leave the European Union, Britain has started today its road to separation. With sterling plummeting to its lowest level in 31 years and the stock market falling sharply this morning, what lies ahead? What will be the impact on companies and markets? What can be done to mitigate potential repercussions that Brexit will inevitably bring? Even more importantly, how can companies adapt to the important changes coming our way and identify new opportunities? Frost & Sullivan is already working with its clients to assess, review and plan strategically for the future to create a positive impact on the economy and society. 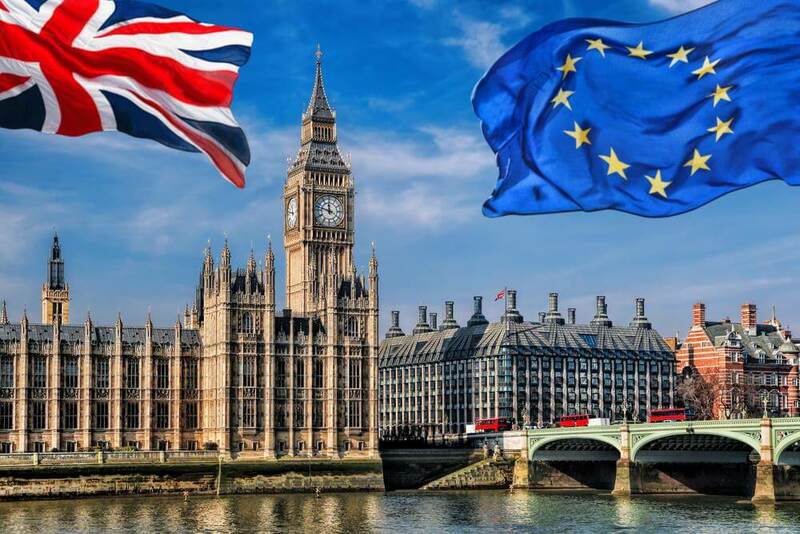 As we all know Brexit is likely to take a minimum of two years to materialize, with the process for withdrawal from the EU expected to start when Article 50 of the Treaty of Lisbon is triggered. Once the intention of separation is formalized, Britain will begin to negotiate withdrawal terms with EU member states on issues such as trade tariffs and the movement of UK and EU citizens, in effect laying the ground for its redefined relationship with the EU. Britain could also see the departure of automotive plants from its shores if manufacturers cease to enjoy the benefits of tariff free trade with the EU. Currency volatility could persist in the medium term given the uncertainty of the path ahead and if the devaluation sustains, we could see exports becoming more attractive, therefore benefitting UK based manufacturers. Although the results are a cause for concern, one must remember that they also herald the mark of a new beginning for the UK which will be influenced by a strong government policy and the success of negotiations with the EU and the rest of the world. We will have to wait and watch to see how the nation’s growth story unfolds. At this stage, Wellian has said that it is difficult to predict a long term outlook, however, the only immediate certainty is the extreme volatility in the financial markets prompting huge price swings across equity, currency, bond and commodity markets. Such volatility will require continuing close management and careful analysis over the weeks ahead as Sterling falls to its lowest since 1985, the DFM has said. ‘The answers to all of these questions are at this stage, on this list of the many unknown outcomes of a Brexit. However, we would like to reassure our clients by reaffirming that we have recently been focussing all of our attention on diversifying our portfolios whilst simultaneously leaving plenty of room for wealth creation; regardless of the result. “Furthermore, what is also reassuring is that the fall in Sterling will actually act as a diversifier. We have substantial international holdings in most of our portfolios and a 10% fall in Sterling will immediately boost their values by the same amount (excluding any movement in the underlying asset). Many of the UK’s best known companies are very international and a fall in Sterling will make their goods and services immediately more competitive overseas. ‘Today and in the weeks ahead we will be spending lots of time thinking through the implications from an investment point of view. We acknowledge that this is not an issue that will be purely restricted to Europe; but one which will have a significant ripple effect across the global markets, which is why it is so crucial for us to continue to apply a long term view to our investment strategy. “We wish to reiterate that investing; by its very nature, is rarely all plain sailing, even at the best of times and there will always be moments of risk and uncertainty like these. One only has to refer to the history books to see that we have often navigated through turbulent market risks and that in hindsight, these risks rarely seem as bad as they appeared at the time. Polls close at 10pm GMT today. Sydney opens at the same time and closes at 6am GMT, while Tokyo opens at 11pm GMT and closes at 7am GMT. According to a number of media sources in the UK, the final decision will be announced around 7am GMT on Friday. A flurry of activity is likely between 4am GMT and 6am GMT. Since no exit polls have been commissioned, any early warning signs and emerging voter trends are going to have a real bearing on trade in Tokyo and Sydney. New York will open at 12pm GMT and close at 8pm GMT. In all probability, based on many years’ experience, the European trend will continue stateside. The weekend will create a “cooling-off” period, so there should be a degree of calm and purpose by the time Asia and Australia wake up on Monday morning. In the event of Leave winning the day, volatility will remain for some time to come. How long is anyone’s guess. However, he says currency traders who are brave enough to ride the wave should keep a close eye on their risk management strategies and trade within their limits. He also recommends putting strategies in place to mitigate any overnight risk, particularly from 10pm GMT on Thursday to 7am GMT on Friday, when clarity will be low and volatility will be high. IG Group, a global leader in online trading, reveals that fans of Germany and Slovakia descending on Lille in France this weekend for their Round of 16 clash at Euro 2016 can expect to fork out the most for a hotel room. Analysing the average hotel price per match during the group stage of the tournament*, prices are 395% higher in Lille during Euro 2016 than the average price during 2015 making it the most expensive host city to stay in. According to IG’s analysts, AccorHotels, which is the largest provider of hotels across France, is anticipated to be one of the main beneficiaries from France hosting the tournament. AccorHotels, which has a portfolio of 1,598 hotels throughout France and a wide range of hotels in close proximity to each of the host venues for Euro 2016, incorporates brands including Sofitel, Novotel, Mercure, Ibis and F1. The stocks of AccorHotels and others which might be affected by Euro 2016 that IG are following can be viewed here. As illustrated by the table below, Lille is the most expensive city in which to stay overnight of all the host cities where Round of 16 matches are taking place. Alexandre Baradez, IG France, said: “France accounts for more than a quarter of Accor’s portfolio throughout the world with 28% of their hotels located in the country hosting Euro 2016. 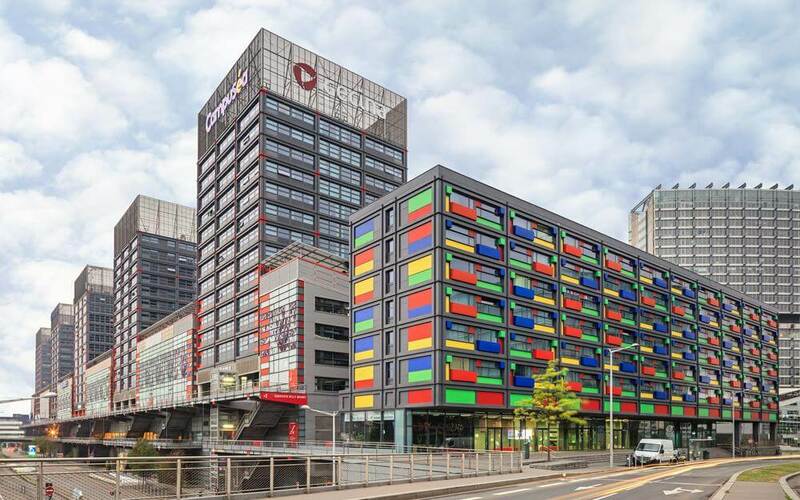 “Accor’s stock has been performing well since mid-February, but started to retract in June as it tracked the wider European stock indices lower. The global macro-economic and political concerns are driving the direction of stocks in the near term. “The impending vote on the UK’s future in Europe has seen sterling volatility spike to levels not seen since the financial crisis, driven by sharp intraday swings as investors’ nervousness around the pound’s value, gravitating around $1.46 to the US dollar currently, increases. While there has been a marked improvement for sterling in recent sessions, sentiment can swing rapidly. “Indeed if the UK was to vote leave, the volatility experienced would be severe and we would expect currency and UK risk assets to come under intense pressure initially. Longer term, the risk of barriers to trade and investment worsening the UK’s current and capital account balances would potentially put pressure on gilts. Rather than UK equities, which in large-caps are overwhelmingly multinationals with a global footprint that benefit from pound weakness, the government bond market would likely succumb the most to rising bearishness. • Launched in partnership with the UKBAA and its first Angel Investing Accreditation programme. With 79% of high-growth businesses based outside of London, the primary objective of Race to Scale is to encourage and support the nation’s scale‐up community in sustaining growth from start‐up into successful mid‐size enterprise. The annual initiative aims to power vital development finance into entrepreneurial hotbeds across the UK, with a focus on key cities including Birmingham, Bristol, Cardiff, Edinburgh, Leeds, London and Manchester. Race to Scale will enable established businesses across the country to submit business proposals for a share of the £100 million funding pot, comprised of debt and equity finance. The finance is available exclusively to established small to mid‐sized enterprises that are proven in concept and require capital to scale, as opposed to start-up funding. Each successful SME will qualify for an investment or loan ranging between £100,000 and £5 million in value. To reflect the new national roll-out of Race to Scale, IW Capital and Crowdfinders have launched the SME Heatmap. The motion infographic champions the regional hubs of entrepreneurial activity across the UK, concentrating on seven cities that are nurturing a thriving scale-up community and the sectors fuelling UK innovation and growth. Incanthera is committed to the development of pioneering technologies that target solid tumours. Originally a spin‐out from the University of Bradford’s Institute of Cancer Therapeutics, Incanthera now operates from Manchester and has research facilities in Bradford and Salford. Incanthera exists to bridge the funding gap that often inhibits groundbreaking research from translating into a commercially viable product and progressing into a cure for serious diseases. The company progresses drug programmes through to early human clinical trials, to obtain vital safety and efficiency data, to then commercialise the product through licensing deals with major pharmaceutical companies. In addition to the Race to Scale funding pledge, Incanthera is still actively fundraising to support a clinical trial for a ground‐breaking drug, dubbed a ‘smart bomb’. • 57% of investors in London would consider investing in SMEs in the next five years – representing the highest appetite for SME investment in a regional comparison. Acknowledging the necessity of greater investor education, Race to Scale is supported by Jenny Tooth OBE, CEO of the UKBAA. In March this year, the UKBAA launched the first Angel Investing Accreditation – a new official qualification to promote effective investment into Britain’s SMEs. Recognised by the Chartered Institute of Securities and Investment (CISI) and the SFEDI – the standards body for enterprise and entrepreneurship – the accreditation is the first quality-controlled angel training that will validate investors and demonstrate their knowledge and expertise. “The company is such a worthy recipient of further investment, and reflects the calibre of businesses that are based around the UK. Incredible companies like Incanthera already exist all over the country, however, I think investors tend to have a very London‐centric view towards SME investment. Therefore, there’s a danger of businesses based outside of the capital becoming overlooked. By rolling out Race to Scale to other UK regions, we want to make sure that businesses nationwide receive the financial support they need, and to ensure that investors have greater access to remarkable, regional opportunities like Incanthera” Davis added. With less than a week to go until the EU referendum, this seems an appropriate time to remind clients of our current investment outlook. Whilst we don’t discount the short-term uncertainty around our membership of the European Union. We believe that markets are vulnerable to several major economic risks – the scale of the Chinese credit bubble, negative interest rates and anaemic growth to name but three. Over the next eighteen months, the political landscape will also alter with a new US president and the Eurozone’s four largest countries heading to the polls for a number of key ballots. These factors have led us to position our portfolios more defensively and will exert a greater influence over the UK economy than whether the country votes in or out on 23 June. We have raised cash levels, lightened our exposure to developed market equities while maintaining our absolute return strategies and a light allocation to fixed income. We have taken a defensive stance to equities tactically, as we feel that markets are vulnerable. Developed market equities are fully valued on most measures and we have grown cautious on the potential for a strong pick up in corporate earnings. Emerging markets are very cheap in absolute terms and relative to their historical valuations. For the time being, the earnings outlook remains uncertain and so sentiment towards Asian markets is particularly sensitive to news about Chinese economic activity and movements in the US dollar. As a simple but effective method for risk control, we have increased portfolio cash holdings. We are comfortable holding cash on a short term tactical basis to reduce exposure to the market in light of the various risks we identify. As greater clarity is found, we will redeploy this cash into asset classes that we deem to be attractive. Yields on sovereign debt remain too low to invest rationally and are being suppressed by central banks across the globe. In the UK the Bank of England is unlikely to change interest rates until Q4 2016 at the earliest. The European Central Bank is firmly in monetary easing mode, as is The Bank of Japan. The Peoples’ Bank of China is dealing with a slowing economy and so biased towards easing as well. The exception of course has been the US Federal Reserve which has started raising rates. Although we recognise the defensive benefits of government bonds, we see little value in owning them. We do see riskier ‘high yield’ bonds in Europe as attractive on a relative basis. Our overweight position in alternatives partly reflects our lack of enthusiasm for fixed interest. We have increased our allocation as it provides an opportunity to protect portfolios in the event of a significant downturn. We have reduced our overweight position to property. While property has enjoyed a significant positive return over the past six years. Looking forward we see limited potential upside in prime properties except in the form of rental growth. 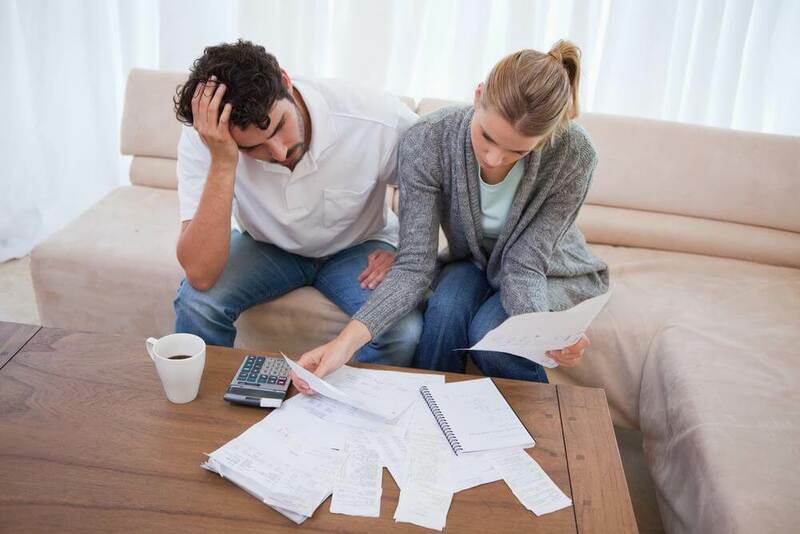 The survey of 1,500 households, by Echo Managed Services, revealed a number of reasons for debt outside of consumers simply not having the financial means to pay. Almost 1 in 3 people hadn’t paid because the bill was incorrect or higher than expected; 14% because the bill was difficult to understand or there was a mix-up with it; and 6% because they’d received poor service. Just 28% of people said that late or non-payment was as a result of not having the means to pay. The research also revealed that higher income households are less tolerant of poor service, with 1 in 10 of those earning more than £40,000 per annum having withheld payment for this reason in the past, compared to just 1% of those earning less than £10,000. Echo understands the importance of collecting outstanding payments and is now urging service providers to improve their billing processes and customer service standards, in order to mitigate some of the reasons behind avoidable debt and to avoid losing valuable customers in a market full of competition and choice. “There are many reasons why people might not pay a bill and although a lack of income would be the obvious reason, our research clearly indicates that these days debt cannot be attributed solely to financial circumstances. 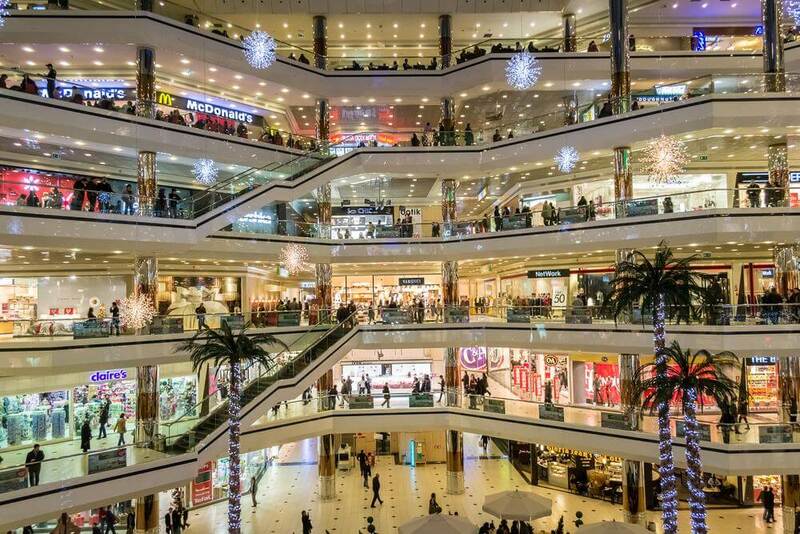 Consumers are now much more aware of their rights and have the freedom to exercise them. They might be less tolerant of poor customer service or inaccurate billing, or think that failing to pay won’t necessarily lead to debt collection procedures, for example,” said Monica Mackintosh, customer services director at Echo Managed Services. “That’s why it’s so important to understand customers and their reasons for missing payments so that the debt can be mitigated before it becomes an issue, or be resolved as quickly as possible. Making sure bills are clear and accurate, regular pre-bill customer engagement, and early intervention such as payment reminders are essential. In addition, a range of internal and external data sources can provide a strong indicator of customer behaviour and propensity to pay. But data alone does not provide the answer and should be used to support personable and empathetic customer service to ensure customers receive a positive experience” she added. The report also revealed that although most customers do feel guilty about missed payments (59%), a surprising 3% think that regular debt is acceptable and 4% think it’s acceptable if they have more pressing needs, such as paying for an annual holiday. Over 1 in 4 think it’s acceptable to get into debt in extreme circumstances, while 6% think it isn’t an issue to be late with payments and that it causes no harm. The full list of rankings and report can be found here. • There is still an appetite for outsourcing among UK companies. 72% of all respondents in the study confirm that they will continue to outsource at the same rate or more (an increase of 3% from 2015). This is a good indication that the UK market still has some growth potential. • It is clear that the pace of outsourcing is slowing down. 40% said last year that they would outsource more. This has declined to 31% this year. Last year we noted a trend towards selective insourcing, which appears to be accelerating. It is notable that 21% of UK organisations are planning to outsource less and insource more, up 6% on last year. The driver for insourcing is that some organisations are looking to in house capabilities to support business initiatives such as Digital Technology adoption and Agile Transformation. Significantly, cost reduction is the biggest motive, in spite of the transformational aspirations of many firms. We may be out of the depths of recession, but cost pressures have not let up for the CIO. 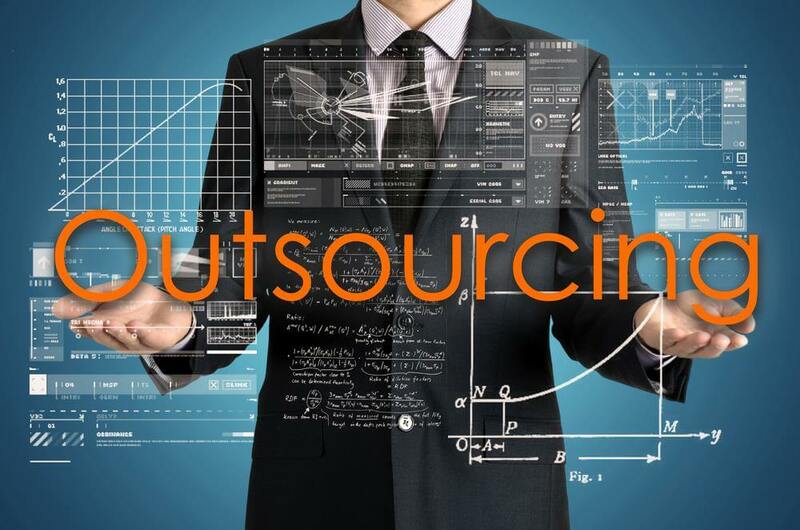 • After two years where business transformation and a focus on core business were the primary reasons quoted for outsourcing, cost reduction has returned as the pre-eminent driver for companies who are planning to outsource more (cited by 60%). This ‘return to normal’ where outsourcing is seen a cost containment approach is subtle but clear. • The service provider community continued to show a strong overall performance, with clients remaining satisfied with 86% of contracts (unchanged from last year’s impressive figure). However, inevitably, there were significant differences between the suppliers assessed. • TCS retained its position as the supplier with the highest level of satisfaction, joined by Cognizant (up from fifth last year), after three years of identical satisfaction levels, and new entrant Hexaware. Those providers delivering predominantly network and telecommunication services continue to remain at the bottom of client satisfaction scores. In 2015 we noted “expectations on the customer side need to be adjusted” and this remains true; but large telco providers continue to struggle with matching their service provision to customer need and this threatens the non-telco components of their businesses. • The continued rise of public cloud usage is marked, with 67% of all UK organisations planning to increase their usage of these services. Satisfaction with cloud vendors such as Microsoft, Google, Amazon and Salesforce.com is generally high. • Comparing customers’ perceptions of suppliers with suppliers’ perceptions of customers is always revealing. The service providers suggest that around 35-50 percent of their outsourcing clients can still significantly improve their transition skills and governance and supplier management capabilities, while the client perspective on their own capabilities is much more positive. “Our survey with Whitelane highlights the changing nature of IT outsourcing in the UK for both customers and suppliers, with some interesting themes emerging around the key drivers, insourcing and service integration. 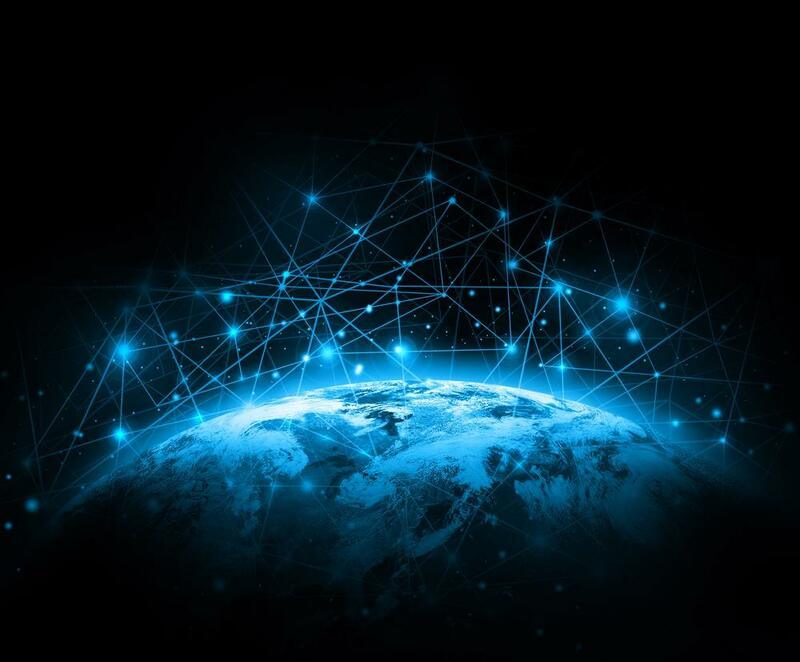 As a leading advisor on sourcing, we continue to help our clients understand how these trends can be harnessed to gain the maximum value from the constantly developing market.” Alan Young, Global Head of IT Transformation, PA Consulting Group. The UK study is part of Whitelane’s annual extensive IT outsourcing studies. We interview sourcing executives about their outsourcing plans and their opinions on service providers. The study is conducted in 13 different European countries and provides a comprehensive overview of the IT outsourcing landscape in each country. The survey also shows the main sourcing trends and positions of the main IT service providers based on different key performance indicators (KPIs), in addition to cloud computing and governance trends. The combined Beacon and Ascendos portfolio includes 225 locomotives and over 1,000 freight wagons on lease in the UK, Scandinavia, Belgium, the Netherlands, Poland and Germany, 55 passenger train units on lease in the UK and Germany, 67 double decker coaches on lease in Denmark, and 13 sets of Mark 5 coaches which will be operated by TransPennine Express in the UK. Pamplona Capital Management (“Pamplona”) acquired Beacon in May 2014 through Pamplona Capital Partners III, LP, a 2011 vehicle with $2.7 billion of committed capital. Since closing, Beacon has been an active acquirer of assets through portfolio acquisitions, the placement of new build orders and the closing of sale / leaseback transactions with various freight and passenger operators, significantly increasing the scale of the portfolio and diversifying both the lessee and asset base. Committed debt financing for the transaction has been provided by ING Bank and Deutsche Bank AG, London Branch. Berwin Leighton Paisner LLP and Lowenstein Sandler LLP acted as legal counsel for Beacon and Pamplona. Clifford Chance LLP acted as legal counsel for the lenders. 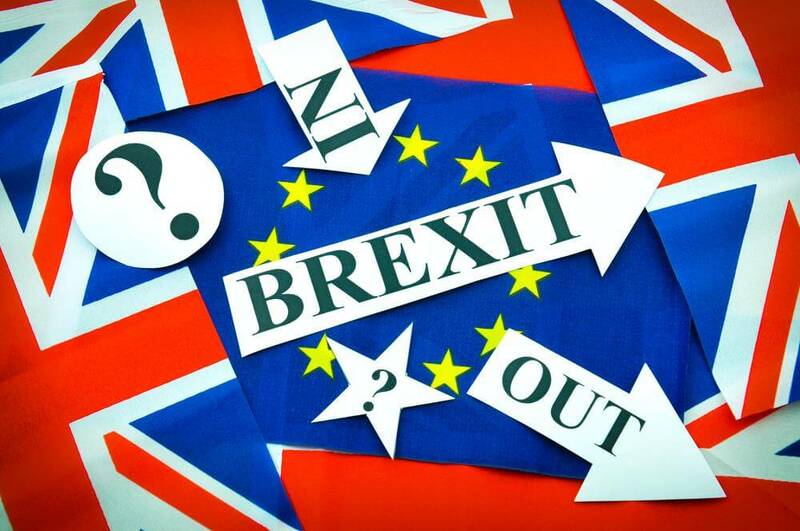 Eight out of ten UK businesses have failed to make adequate preparations for a potential exit from Europe following the upcoming referendum, according to a survey. Interim Partners, a market-leading provider of senior interim executives, conducted the survey as part of the research for its 2016 White Paper on the state of the interim market. 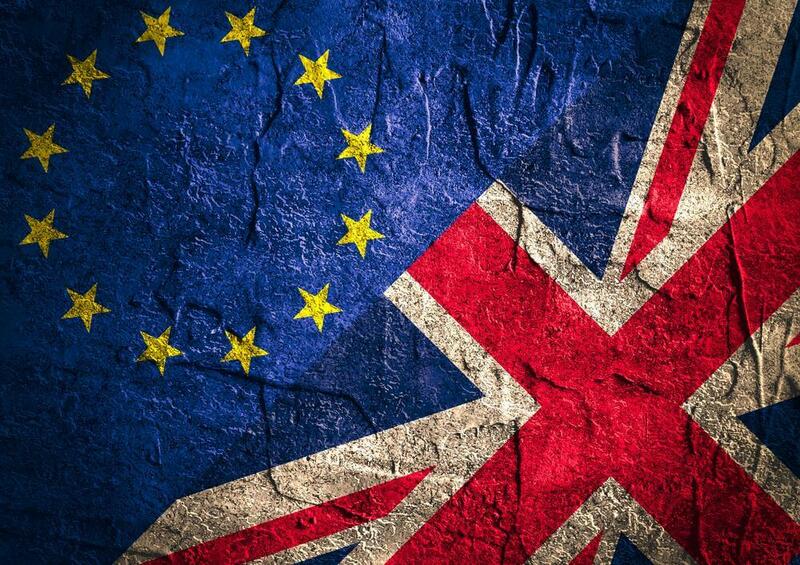 Over 400 top interim managers from across the public and private sectors were quizzed for their views on the EU debate, including whether UK businesses are prepared for the potential ramifications of Britain exiting the EU. Those surveyed also warned that if UK businesses do not take swift measures to cope with these changes, they risk losing out in the event of a Leave vote. “Interim managers are specialists in change management, and are often brought into businesses to help them navigate periods of transformation and uncertainty,” says Steve Rutherford, Managing Partner of Interim Partners. A recent survey by Interim Partners showed that eight out of ten UK businesses are under-prepared for the potential effects of Brexit. Leaving the EU would mean that UK businesses have to deal with a host of new challenges, from coping with an unpredictable exchange rate, to navigating fundamental changes in European trade law. So what can you do ahead of the referendum to minimise the risk to you and your customers in the event of a Leave vote? Interim Partners asked some of the UK’s most senior interim managers for their top tips to make the potential transition as smooth as possible for business leaders. 1. Develop new markets: By nurturing relationships outside the EU, your business will be more resilient to losing trade with your existing European partners. 2. Hedge your investments: To maintain financial stability and protect against overspend, make sure that any risky investments are countered with more reliable propositions. 3. Don’t act in isolation: Form coalitions with sector peers to build new bridges and strengthen existing relationships. 4. Consider a comms strategy: When you’re going through turbulent times, it’s a good idea to keep your stakeholders informed and reassured – plan ahead by getting a communications strategy in place now. 5. Have back-up plans: You can’t plan for every eventuality, but you can give yourself as many options as possible – consider all the possibilities in case things don’t work as expected. 6. 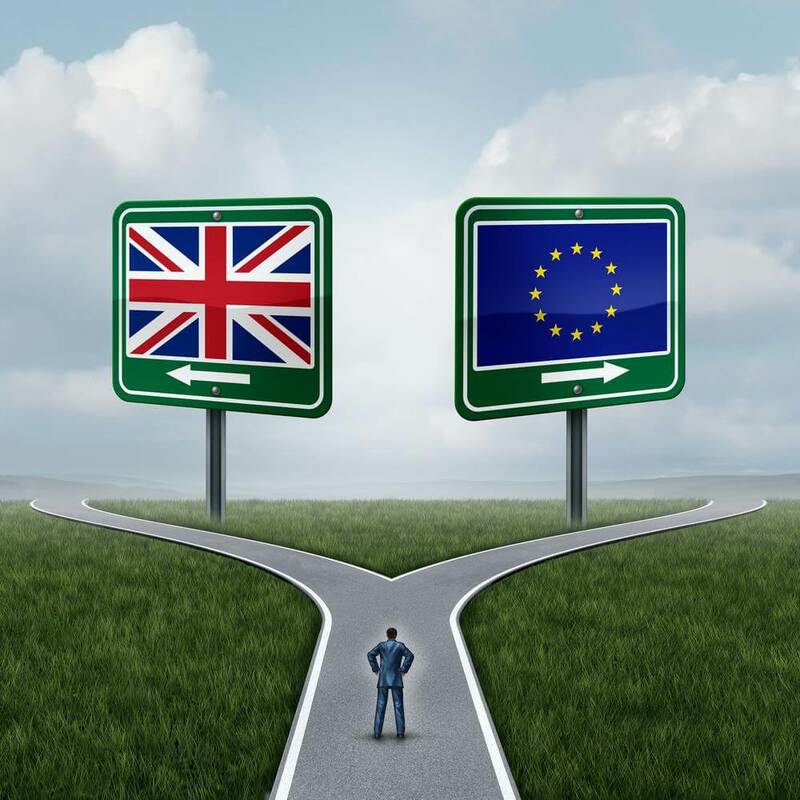 Embrace the change: Brexit might not be your preferred option, but if it happens try to see the positive – look out for new opportunities and don’t be afraid to take them when they arise. The Draper Esprit team has considerable experience. The team has operated the Group for nine years and, prior to that, its members worked for leading firms within the venture capital industry. In aggregate, the team has been involved in investing over US$1 billion into more than 200 technology businesses and has been involved in creating businesses with a total aggregate value of over US$8 billion, with an exited value of over US$6 billion. “Our motivation for evolving our Venture Capital business model was twofold. Firstly, we wanted to be able to invest for longer in our emerging companies and to be able to build bigger stakes as companies remained private for longer periods, capturing more value for shareholders. Secondly, we wanted to further democratise funding for entrepreneurs. Traditionally the Limited Partnership model in Europe has restricted who can invest in venture capital backed companies and many growing technology companies are not accessible to institutions or public investors until they go public. Now everyone can participate in the growth of VC backed companies from their earliest stages through series A and B to their success in the later stages up to and including their IPO. More information is attached (as is a photograph) and senior management are available for interviews. Please use the mobile number below, larger images are available on request. South bath and dressing room. The firm’s portfolio includes a range of high-end apartment building, duplex and townhouse renovations, as well as institutional work. Each project is opulent in the clarity of its spatial and functional resolution. Weinreich cites her Australian upbringing as a major aesthetic influence, instilling sensitivity to the natural environment as well as a proclivity to architectural modernism from her family home. Her parents, Holocaust survivors, commissioned famed architect Harry Seidler, an Austrian-born Australian architect, to design a house in the early 1960s. A leading proponent of modernism in Australia, Seidler was the first architect to fully express the principles of the International Modern Bauhaus in the country. In 2013, the Weinreich house was given a Sydney Heritage Building Registry citation. Weinreich’s parents recognised her artistic talents at a young age and, when she was 14, they arranged private tuition with Professor Maximilian Feurerring in his Woollarah studio. Feuerring was considered to be one of Australia’s leading painters. Feurring did not teach children, but made an exception for Weinreich, whom he considered a prodigy. In rigorous weekly sessions, she reproduced works by modern painters such as Gauguin, Cezanne, Chagall, Modigliani and Clave and all of these paintings still hang in the family home in Australia. Through these lessons, Weinreich developed a regular following amongst his other pupils and friends, unbeknownst to her until years later. She chose Feurring as subject of her highly awarded Bachelor of Fine Arts Honours Thesis at Sydney University. When beginning a new project, LHWA’s approach to design is defined by a specific set of criteria: the unique needs of the individual clients and their space; the development of an unequivocal, clean, simple, seamless and sophisticated background for the programmatic requirements; and the creation of an aesthetically unencumbered environment. requests the real estate floor plan or a site plan, existing photos, and the clients’ wish list. She wants to take the time to think about the opportunities of the prospective job and to come to the first meeting prepared with an initial design idea. A key signature of the LHWA aesthetic is the precise application of light. The lighting schemes in all of the firm’s projects are designed to enhance spatial quality. In New York City apartment buildings, ceilings are traditionally lowered in bathrooms to accommodate plumbing pipes above, and Weinreich’s innovative solutions can often be found at this transition between ceiling heights. In the NoHo Duplex in downtown Manhattan, this condition becomes a design feature; lit cove edges soften the lowered ceiling at the entry to the powder room and master bathroom are ghosted behind full-height, eleven-foot tall sliding glazed panels doors. Inside the master bathroom, backlit dropped ceilings at the rear wall visually heighten the space while giving the interiors a warm glow. In the West 72nd Street Duplex on New York City’s Upper West Side, an infinity lit ceiling edge visually opens up the ceiling plane of the Calcutta gold clad master bathroom. This visual elongation of space appears throughout the firm’s portfolio, developed in response to working and building in Manhattan. Many In the West 67th Street Apartment, now under construction, perimeter dropped ceilings frame and define the main living spaces and innovative knife-edge cove lighting emphasises the full-height ceilings. The lowered ceilings house mechanical equipment, ducts, pipes, structural support for the tracks, audio-visual equipment, wiring and recessed light slots. By lowering a ceiling height to highlight function, the sculptural interplay of dropped ceiling planes creates an illusion of a vertical spatial openness. LHWA also employs full-height sliding panels as a signature design feature to enhance the feeling of soaring verticality—no matter if the floor to ceiling height is an eleven-foot loft space or an eight-foot post-war highrise. The firm’s design vocabulary uses full-height sliding panels to shape and elongate space, provide functional flexibility and shield visibility. In the NoHo Duplex, the powder room and master bedroom ensuite are separated by a series of eleven foot-tall, fully retractable, sliding, steelframed glass panels. These featured full-height elements create a perspectival vista to what appears to be an ostensibly larger space beyond. The glazed panels soften the glowing cove edges above the entries post war high-rise apartments in New York were built with low ceilings throughout—a developer device to minimise cost and to maximise the number of apartments. In the West 72nd Street duplex, LHWA’s renovation opens up the ceiling on the main floor to full height, while using a hovering ceiling plane softened with lit coves as a visual highlight. Large open spaces with flexible functions are highly desirable in cities like New York, where real estate space is at a premium. The combination of two apartments on Lexington Avenue, currently under construction, incorporates sets of sliding translucent panels to create options in how the clients can configure the spaces—all open for entertaining and maximum daylight, or closed in multiple configurations for varying levels of privacy. The renovation of the West 72nd Street Duplex opens the main level of the duplex into one large, open, utilitarian space for dining, living and entertainment with full width unobstructed window views. The den space can be partitioned off with three full-height Shoji screens, designed in collaboration with the Italian manufacturer, when it needs to serve as a temporary sleeping area. Weinreich’s work highlights an innovative use of materials. The design and fabrication of the NoHo Duplex’s staircase presented the biggest single challenge of the project. The staircase’s co-planar, clear-tempered glass rails and childproof open slots elegantly comply with rigorous code and child safety standards. For a unique handcrafted industrial appearance, metalworkers forged all of the project’s metalwork, including the stair supports and door frames, on site. The work of LHWA combines a clean modern aesthetic with an understanding of how people will actually live and use the spaces on a daily basis. All of the firm’s projects integrate extensive storage. The NoHo Duplex has floor-to-ceiling storage in the master bedroom, lower level playroom and children’s bedrooms. In the Central Park South Apartment’s kitchen, the renovation integrated a commercial-quality kitchen into a residential setting, enabling the client’s in-house chef to cater for over a thousand guests per year. The kitchen facilitates both intimate family gatherings as well as formal sit-down banquets for heads of state, dignitaries and royalty, complete with silver service and tuxedoed waiters. New full height upper cabinets, floor-to-ceiling pantry closets and the utiliSation of all under the counter island spaces, increased the storage capacity of this kitchen by 20%. LHWA enjoys a high-profile Internet presence, which continues to be a strong source of new work. The firm’s number of projects has tripled over the last two years with commissions of increasing size and scope. However, Weinreich never turns away a project because of its size. “If I see a potential design interest, I will take the job,” she says. The firm’s greater visibility includes three publications featuring Weinreich’s work coming out at the end of 2016. Her work was prominently featured in the latest edition in the BBeyond Publication Series, entitled Fabulous Interiors and Architecture. The coffee table book’s international theme covers “interior and architectural icons of today/classic landmarks of tomorrow”, targeting a high net worth audience and covering the issues that matter to them and their lifestyles. LHWA in the only New York City architect featured in the publication. 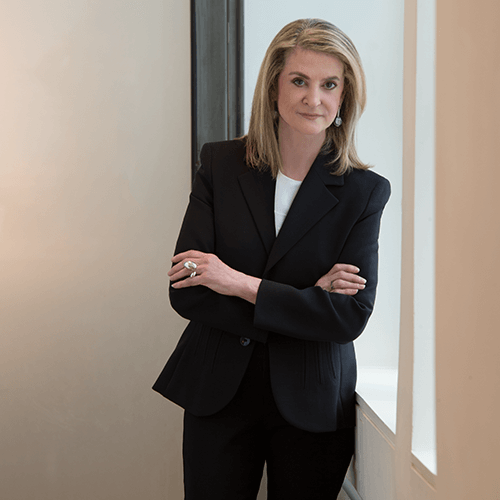 Weinreich credits her success to her dedicated team of collaborators, skilled contractors and artisans as well as her husband, Dr. Michael Ezekowitz. Weinreich calls upon the support of the world-renowned cardiologist— cited by Thompson-Reuters in the top one percent of scientists in the world due to his research and publications—for his innate eye for detail and skill as a client and contractor liaison. LHWA is currently working on several new projects, including two large apartment remodels, one on Park Avenue and the other on Central Park South, a building in Gramercy Park with duplex units and a house in Avon, Connecticut. The firm is also exploring new markets, including the design of private jet interiors and commercial projects, where Weinreich’s considered, innovative design aesthetic can be applied in new ways. Ms Soubry, along with Ministers from the Treasury, Department for Health and Department for Communities and Local Government met senior management from leading retailers including Asda, Sainsbury’s, Tesco, Morrisons, John Lewis Partnership, B&Q and the British Retail Consortium to discuss their priorities and consider the business environment for retail. – The group has huge influence on consumer behaviour in the UK, generating sales of £340 billion in 2015, and supported over 3 million retail jobs in the UK, up from 83,000 in 2010. “The first cross-government retail roundtable is an important milestone in getting some of the country’s top retailers together to discuss collectively with government how we can work better to create an environment for them to grow, create more jobs and boost our economy. “It was a valuable to attend such a meeting with ministers across government and some of the country’s leading retailers. It gave everyone there the opportunity to directly consider issues facing the industry and their businesses with government and I was pleased with the open and constructive dialogue. Company: Associated Joinery Techniques Ltd.
Company: Marret Asset Management Inc.